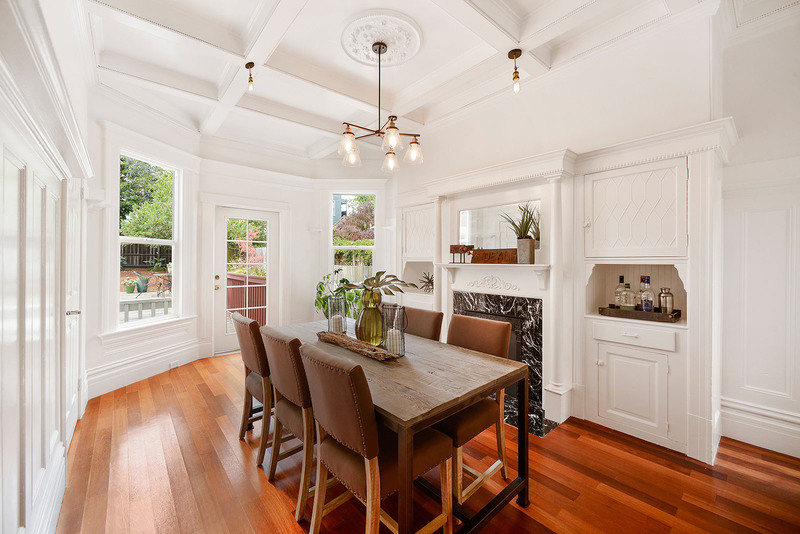 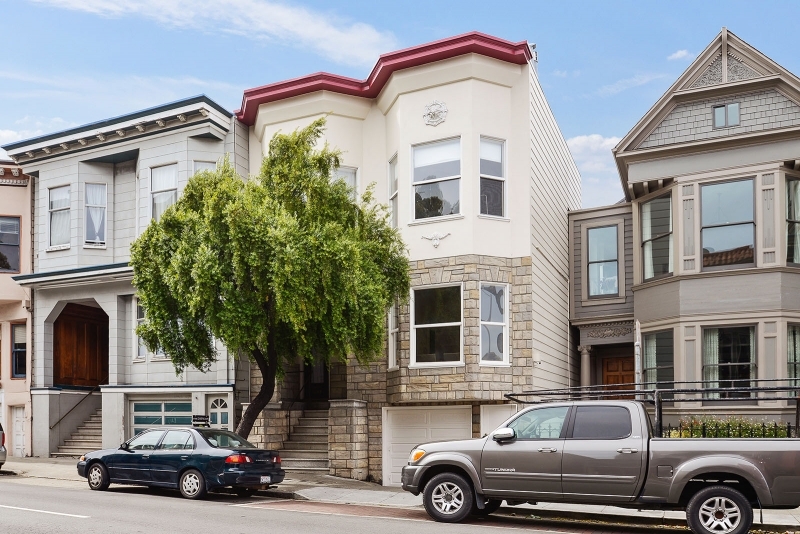 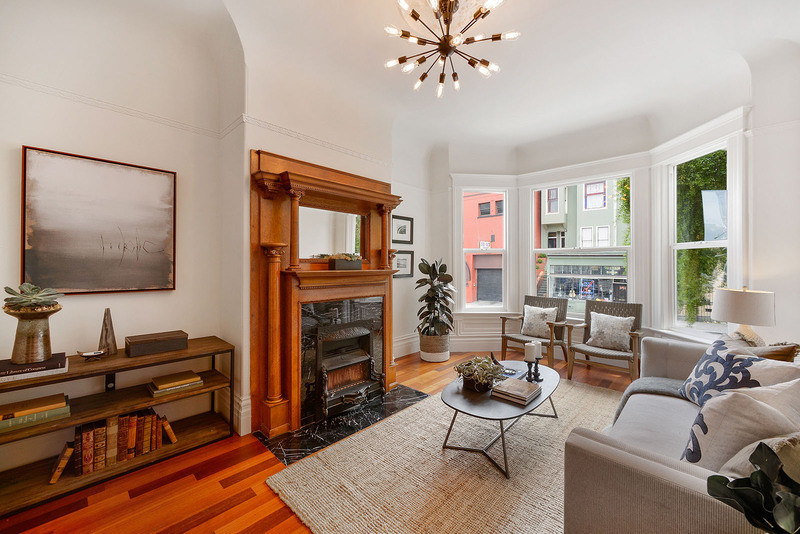 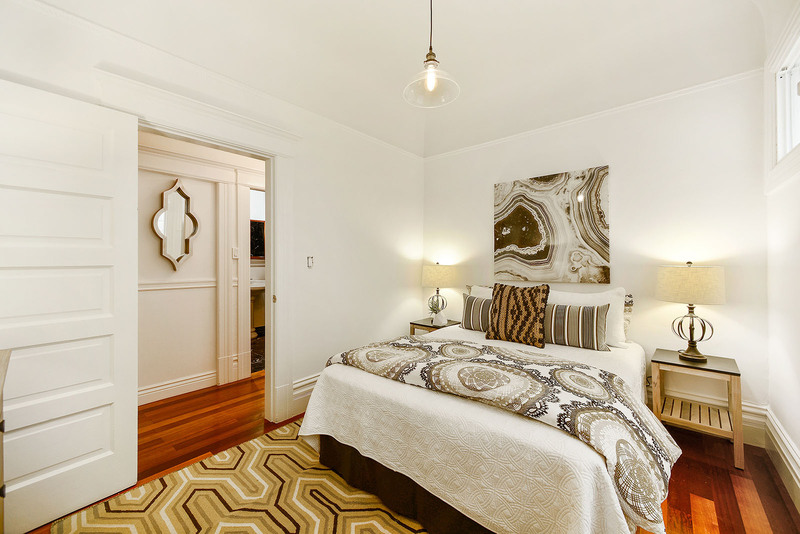 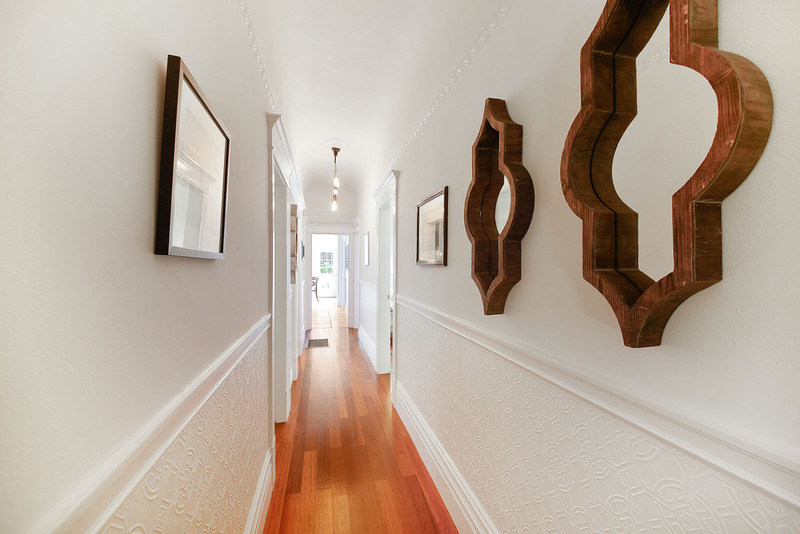 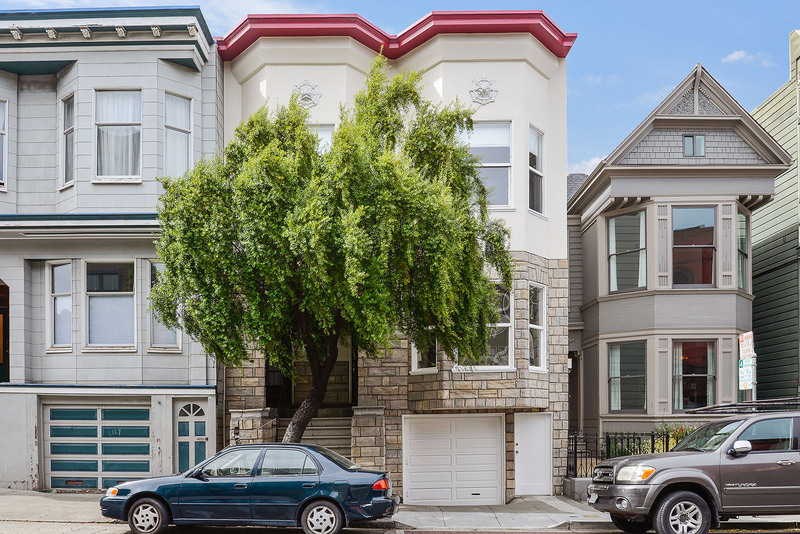 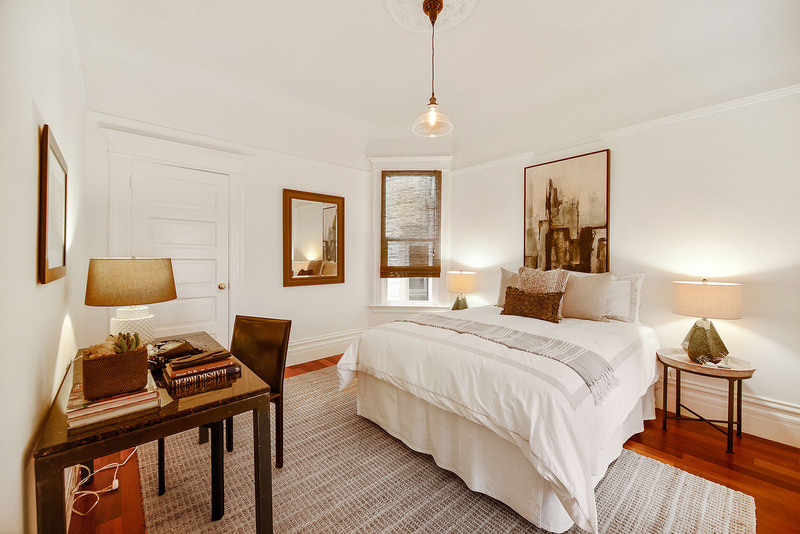 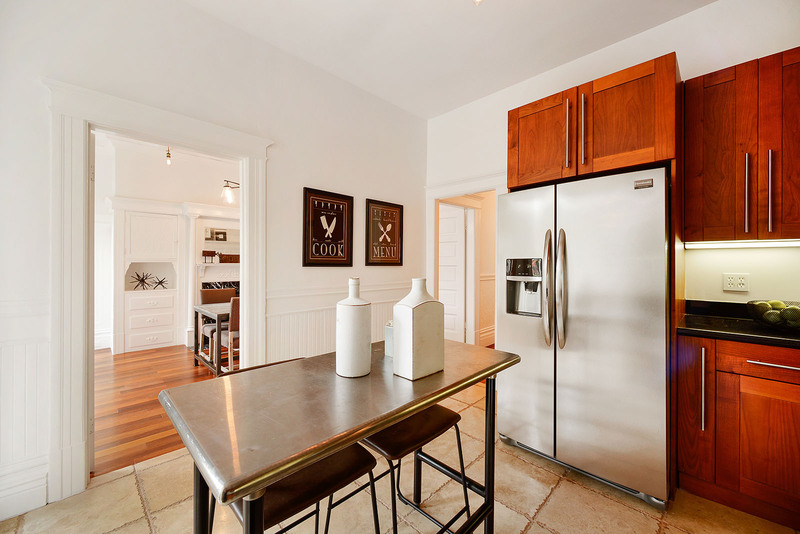 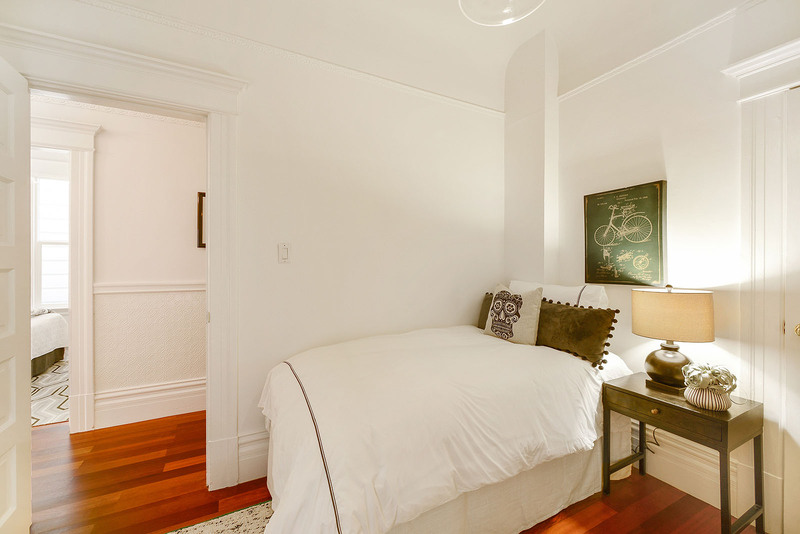 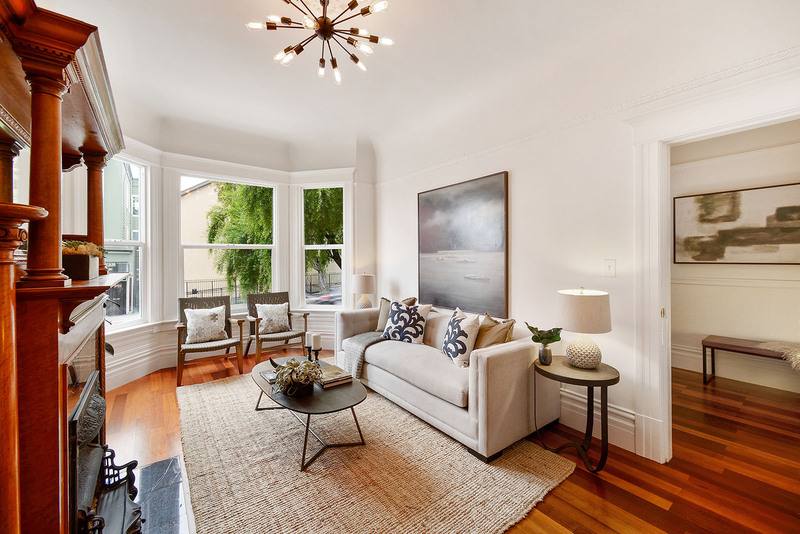 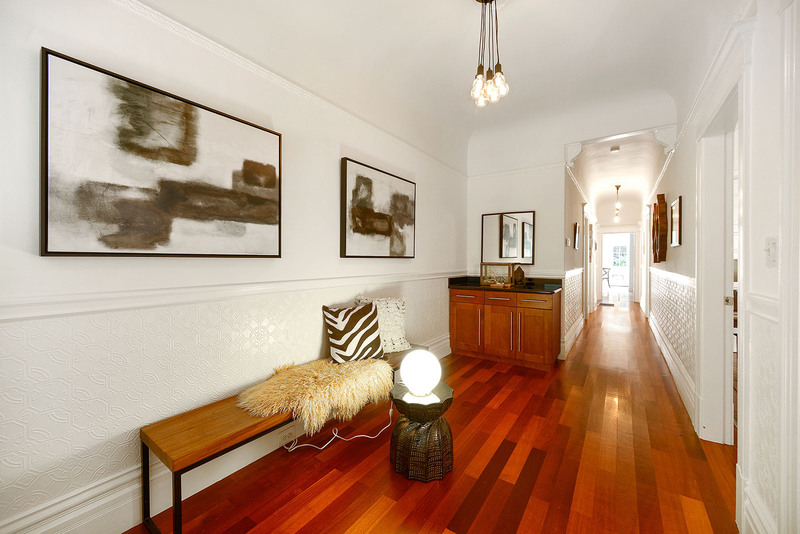 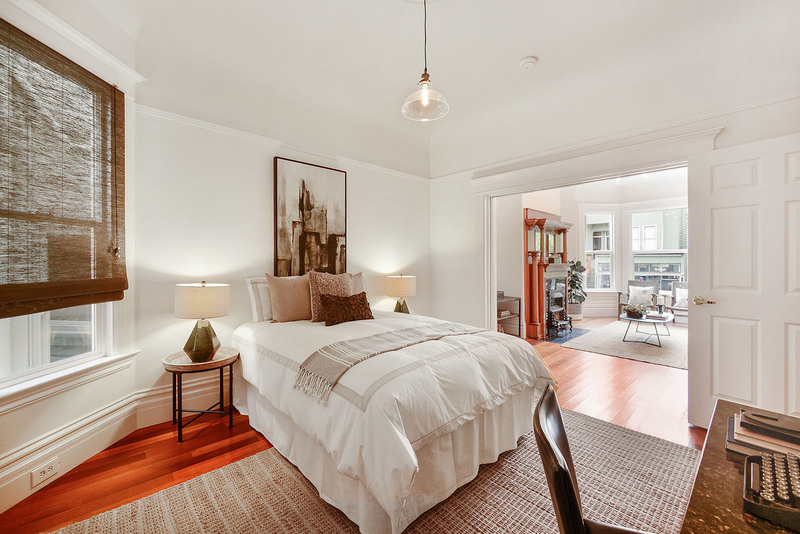 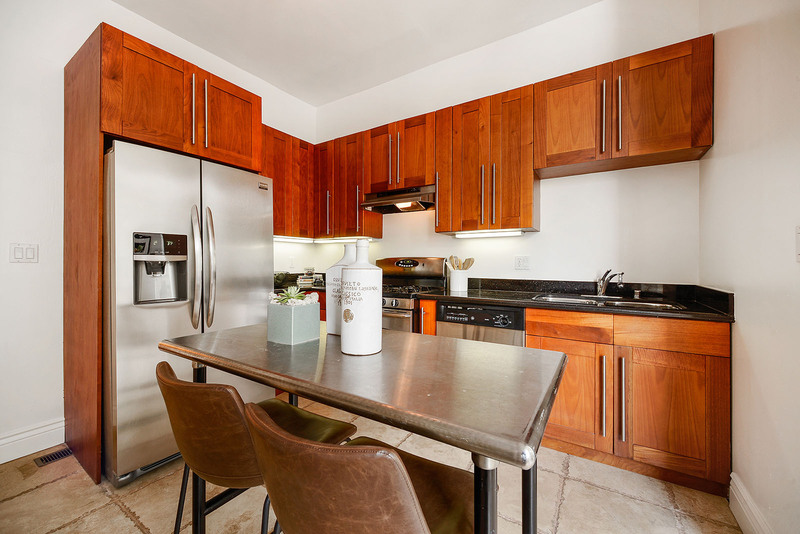 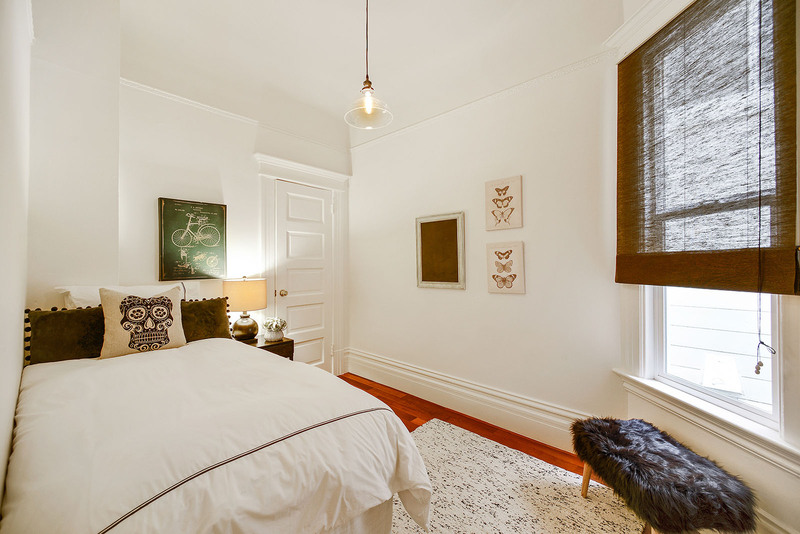 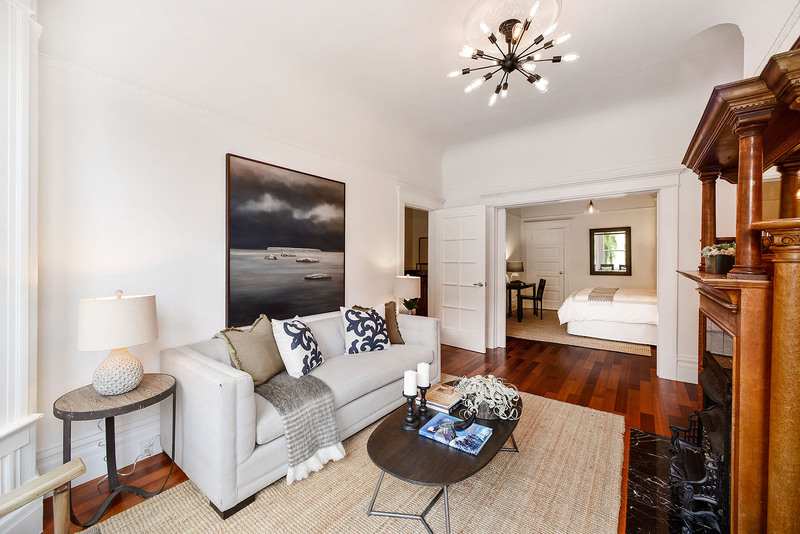 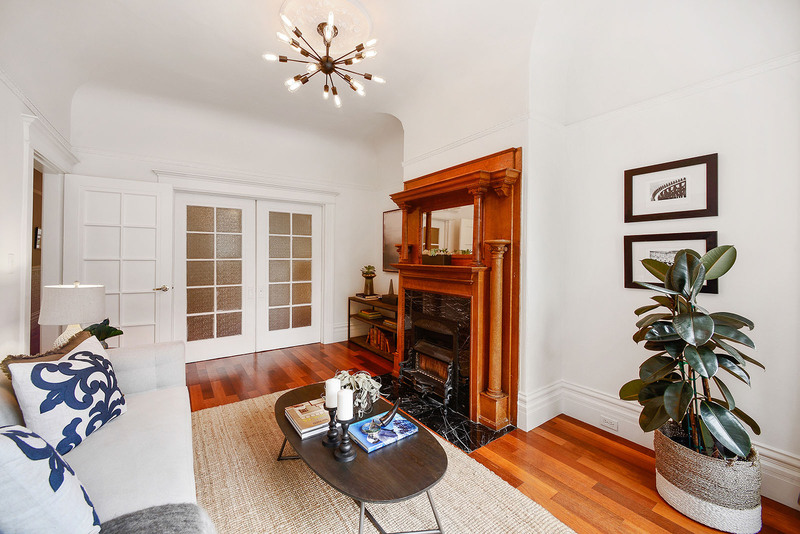 Spacious Edwardian Condo with Period Details 1246 Fell Street in NoPa Sold 18% over list! 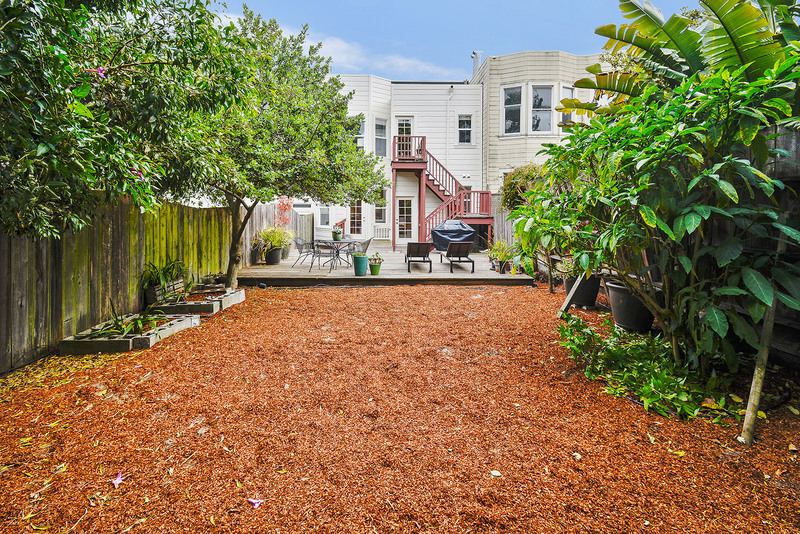 Welcome to 1246 Fell St, a spacious and elegant 3 bedroom, 1 bathroom flat with huge walk-out deck and gorgeous yard in a gracious 2-unit Edwardian. 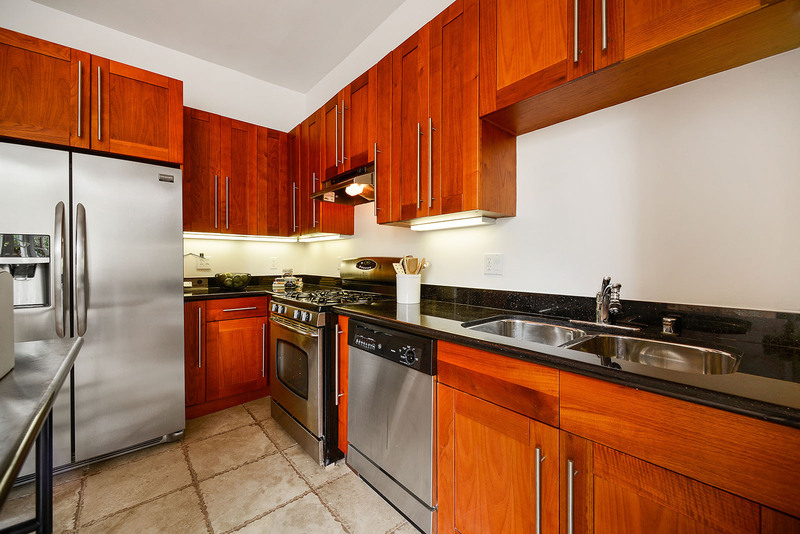 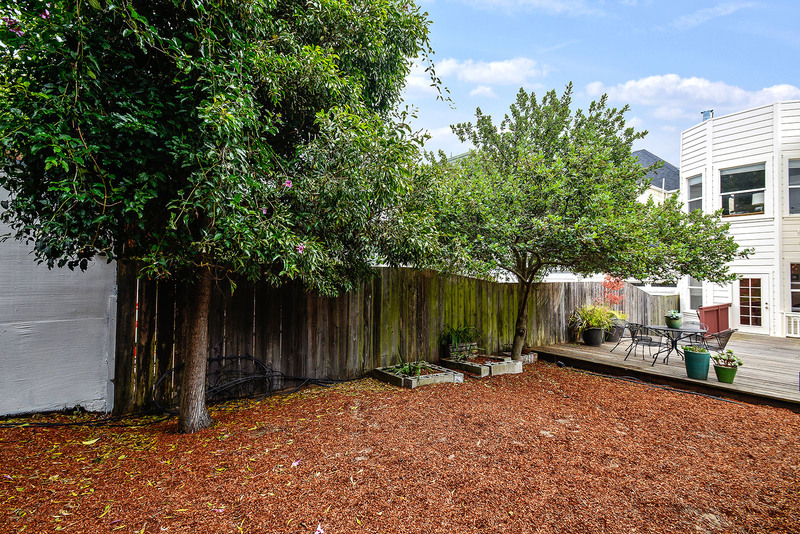 With a Walk Score and Bike Score of 96, this special condo is ideally situated near everything you need! 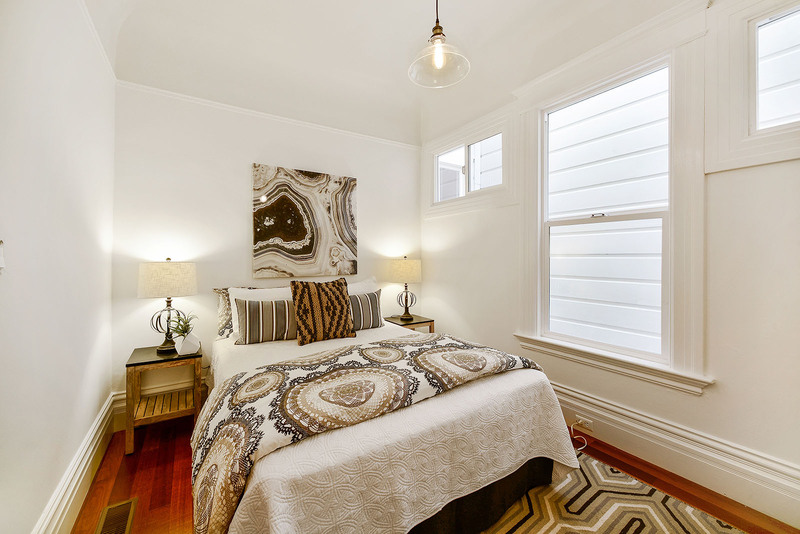 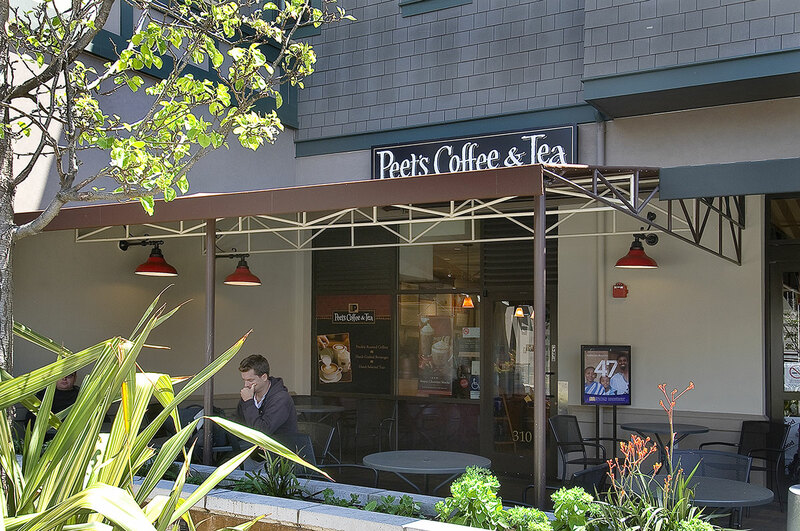 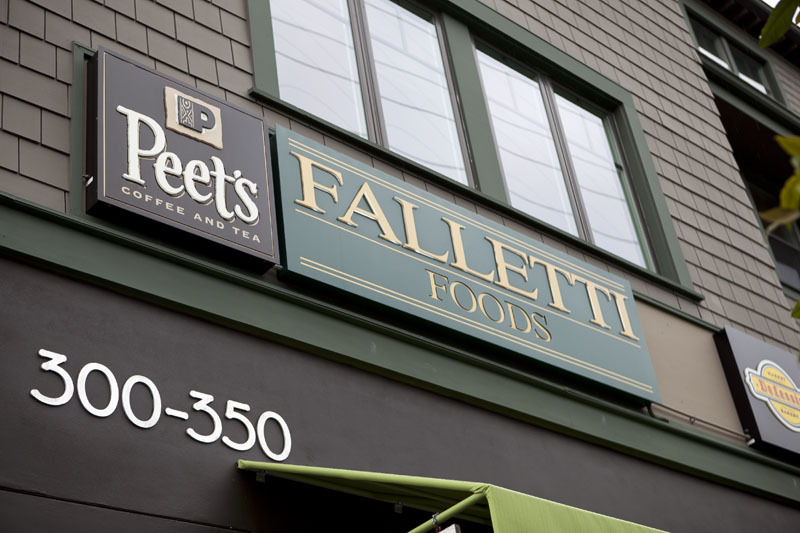 Stroll to Bi-Rite and Falletti Foods, many cafes, restaurants, public transportation, corporate shuttles plus Alamo Square and Golden Gate Park. 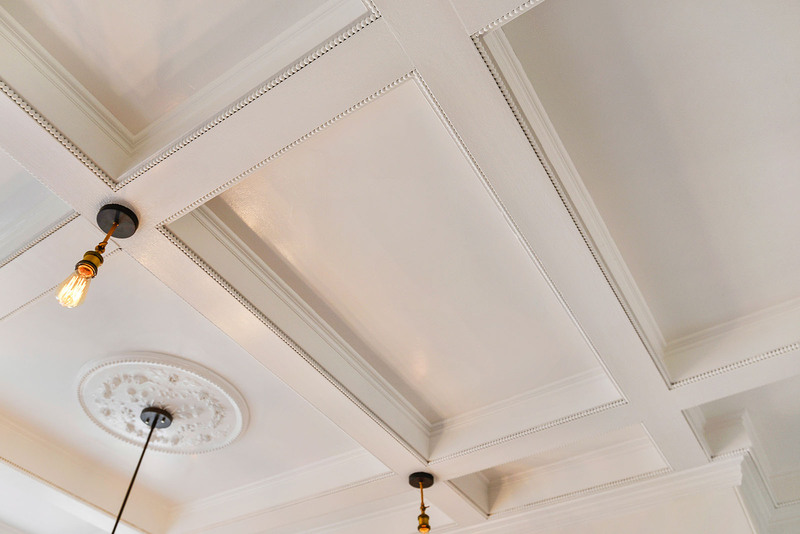 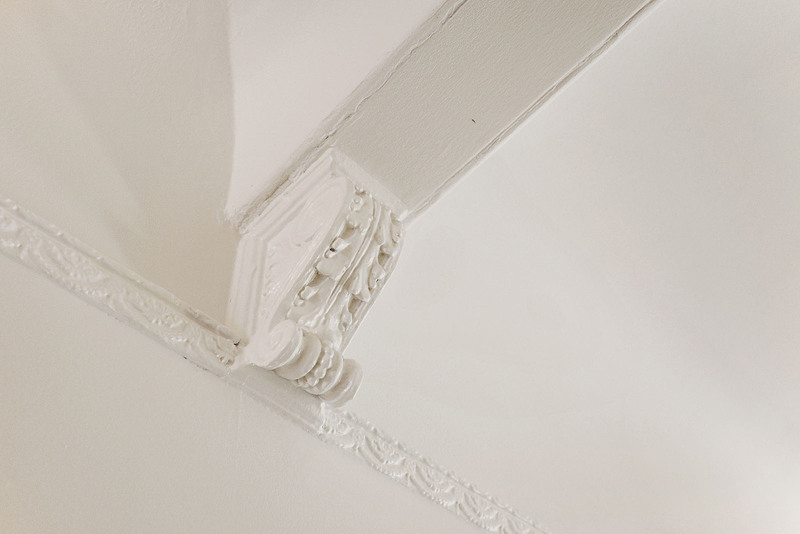 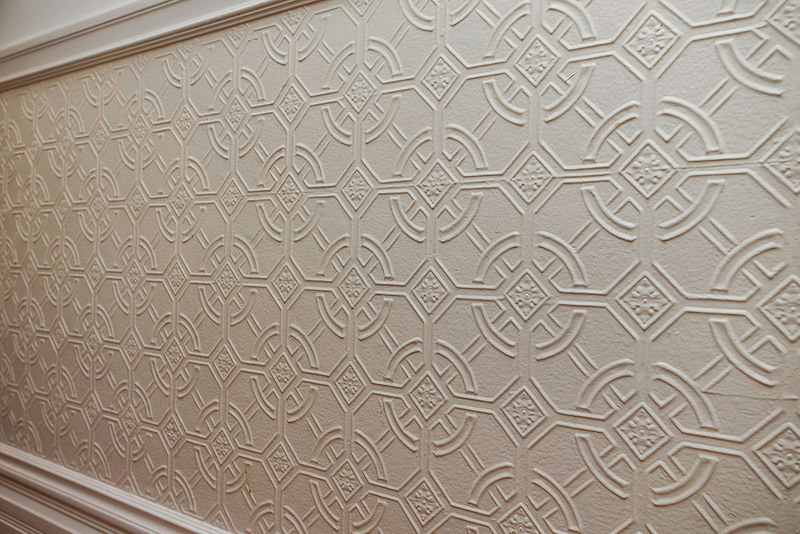 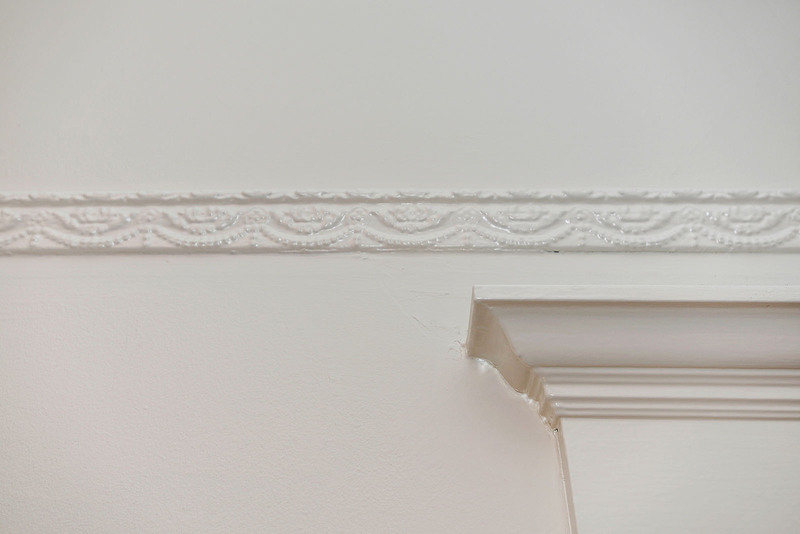 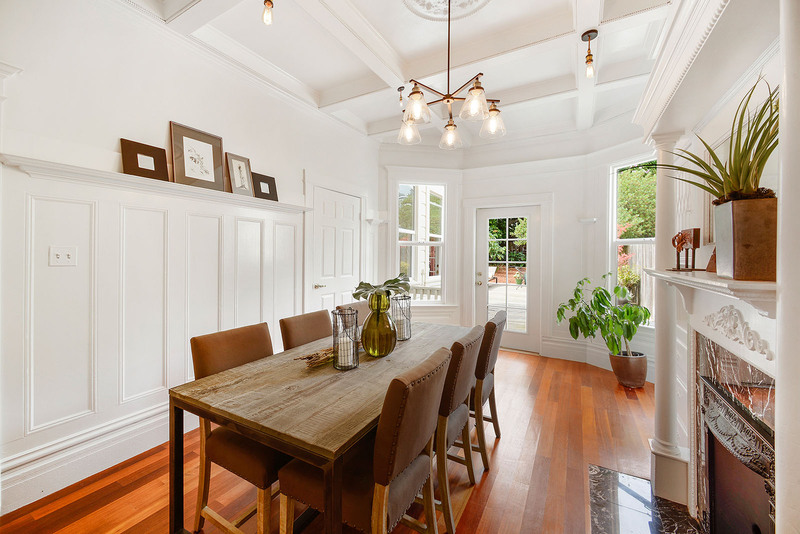 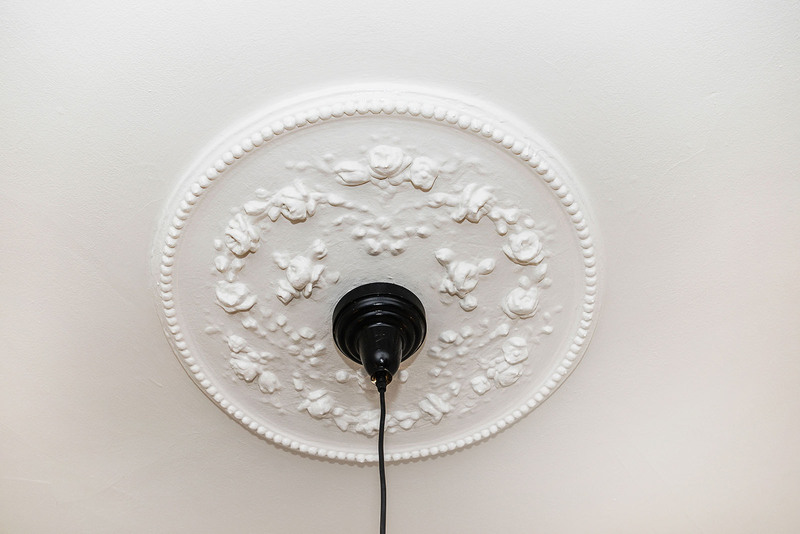 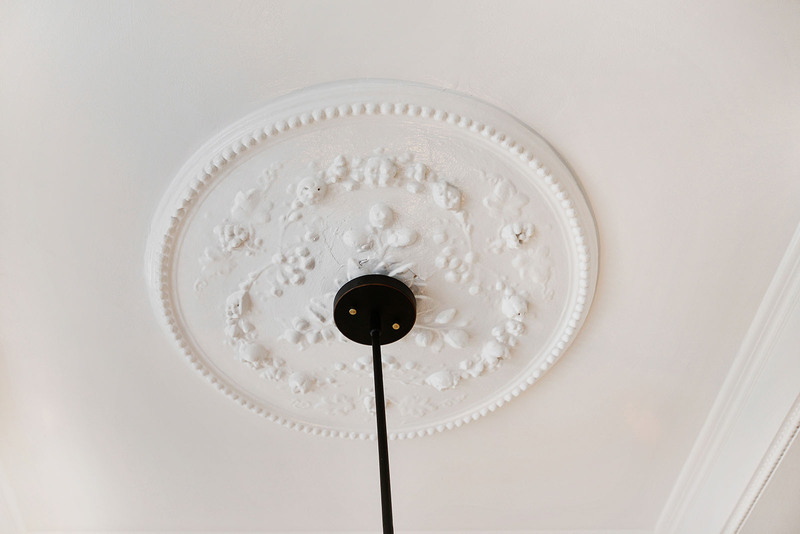 Enjoy high coved ceilings, cherry wood floors, classic period details and charm including crown molding, decorative wainscoting and rosettes. 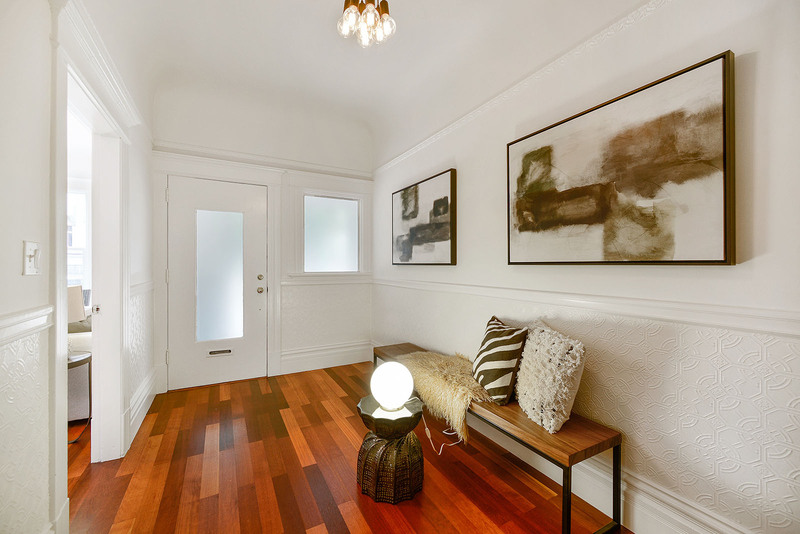 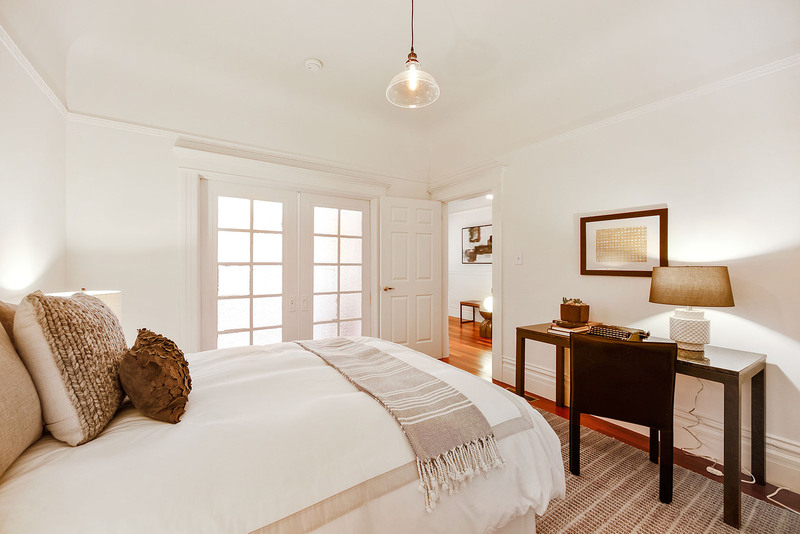 The home also boasts double paned windows and designer selected lighting through most of the flat. 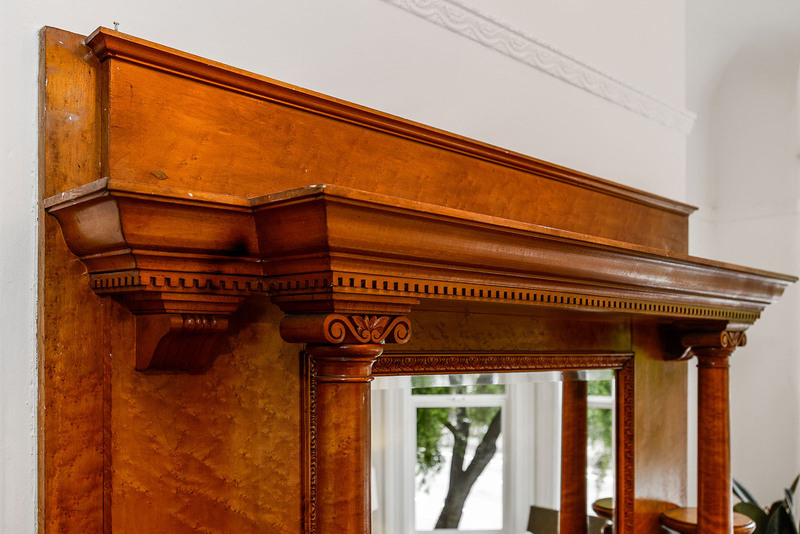 At the formal entry, a welcoming foyer opens to the charming and light-filled formal living room with decorative fireplace -- spend a leisurely Sunday afternoon reading a book and enjoying the lovey view of the willowy mayten tree through the tall living room windows. 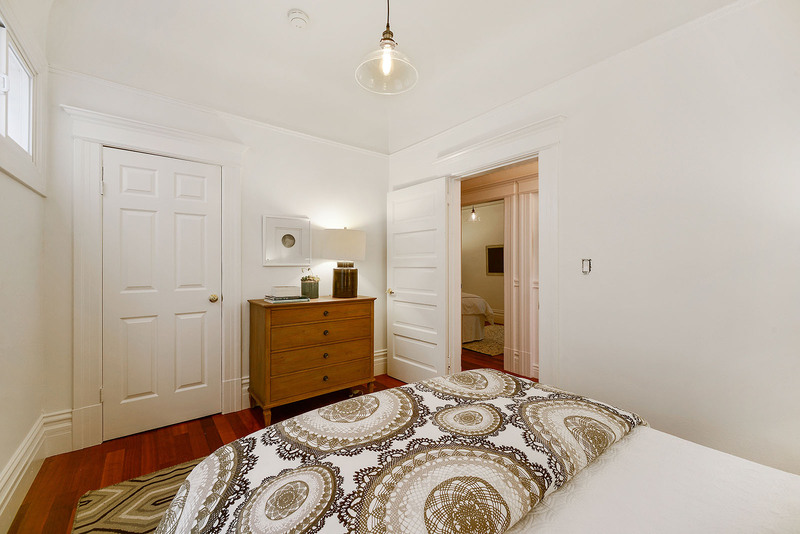 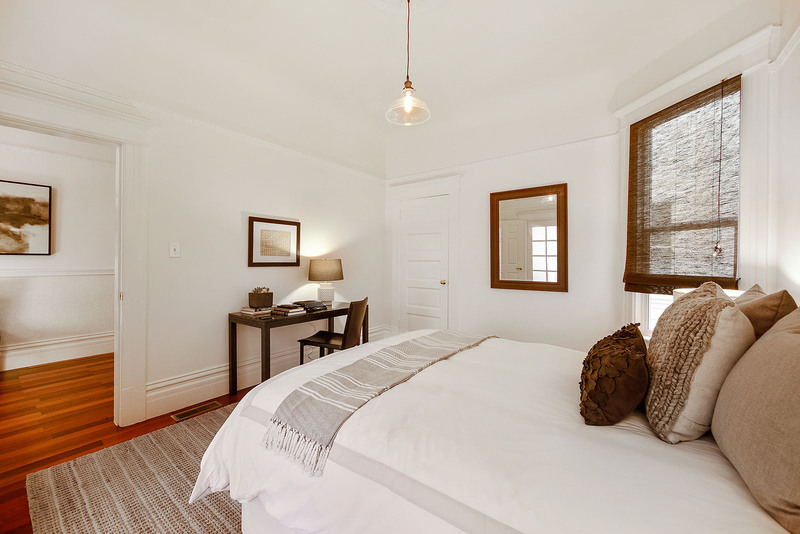 All three quiet bedrooms are situated towards the middle of the flat. 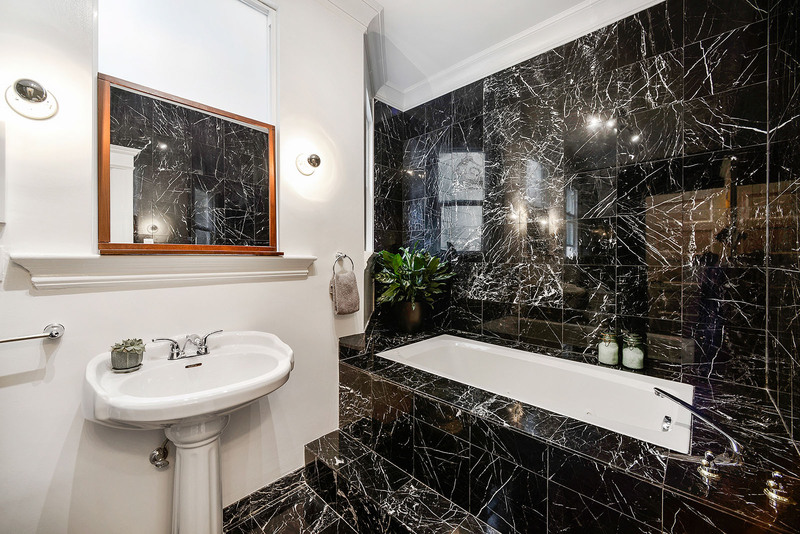 The fabulous luxury bath features a pedestal sink, marble, spa tub and glass enclosed Euro shower. 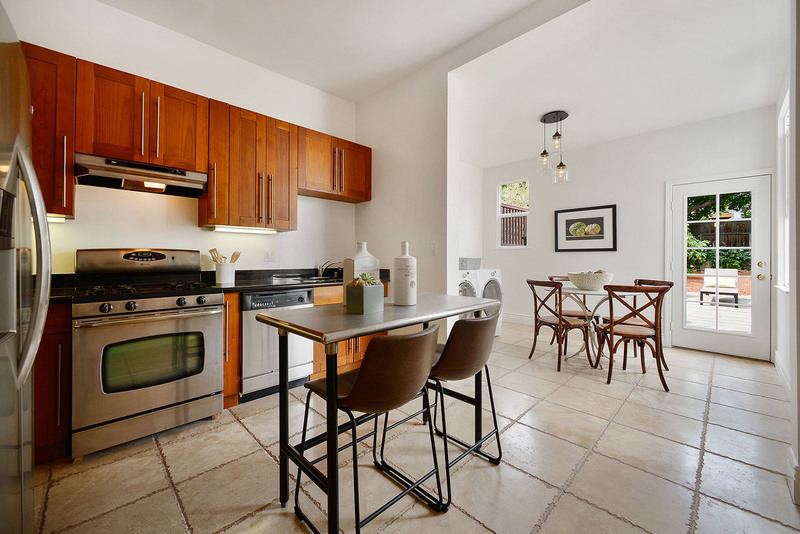 At the rear of the home, the sunny eat-in kitchen with stainless steel appliances opens to both the formal dining room and to the fabulous outdoor space. 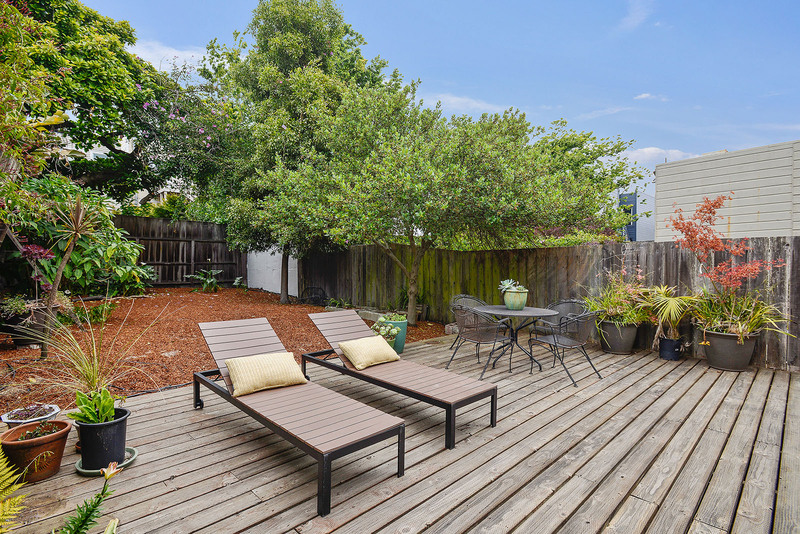 Enjoy the expansive, shared walk-out deck and fenced yard with a mature avocado tree - the perfect place for barbecuing with friends and family. 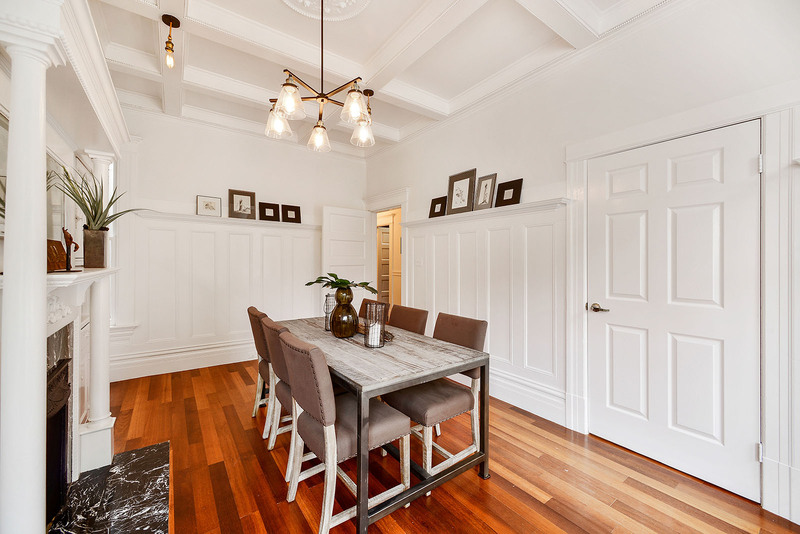 The graceful formal dining room with box beam ceiling and decorative fireplace also opens directly to the deck and could be used as a 4th bedroom. 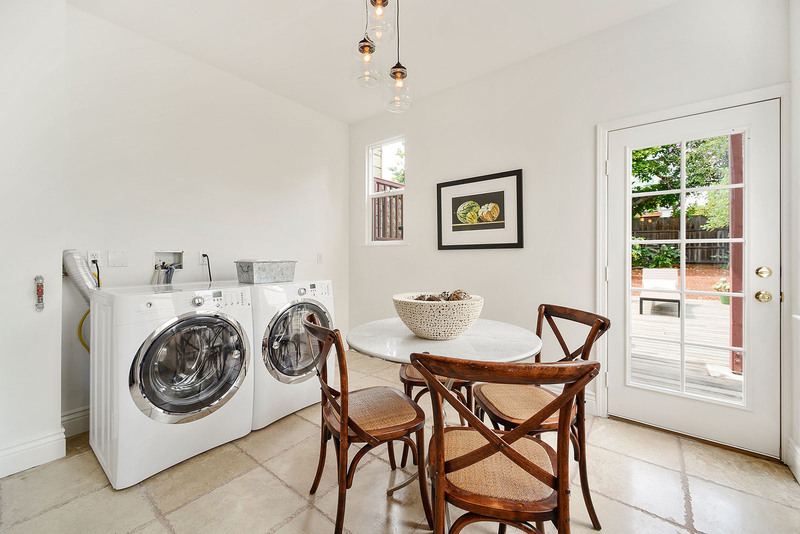 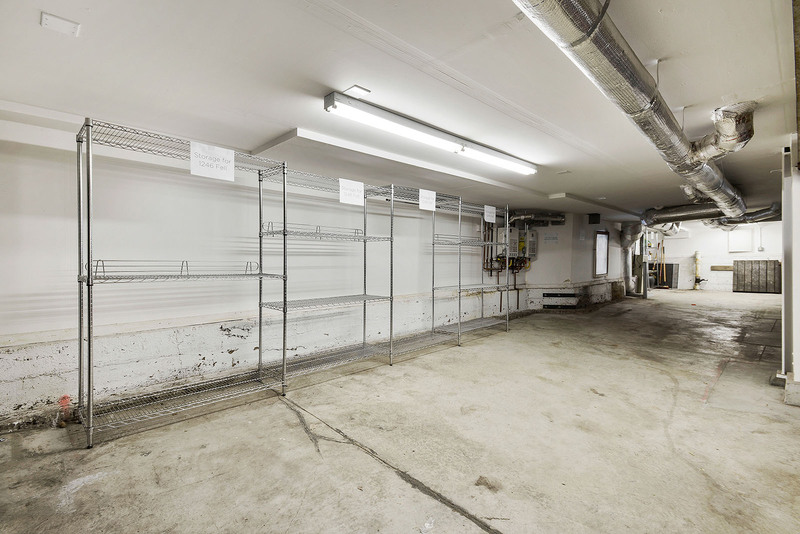 Other special features include in-unit laundry and a huge garage fitting 2-3 cars for this unit plus ample storage space. 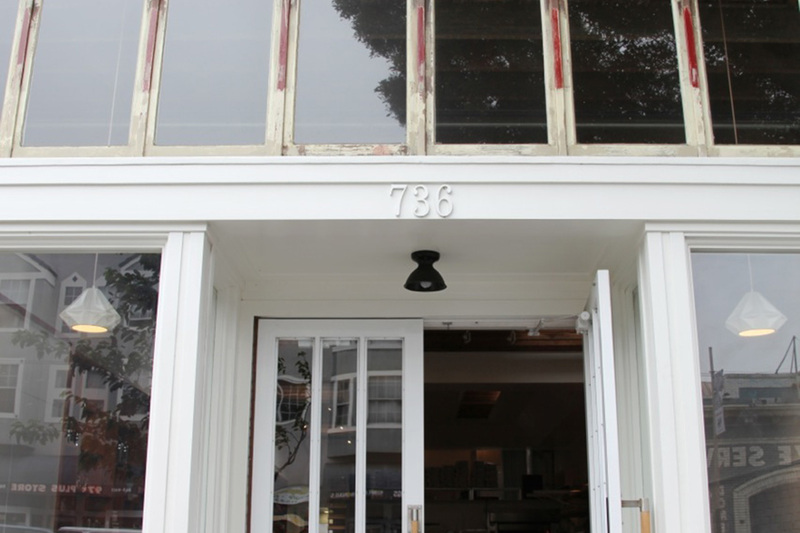 The building has also been extensively seismically upgraded. 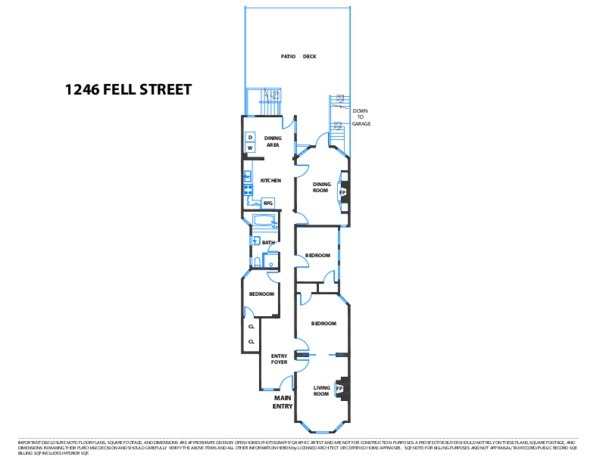 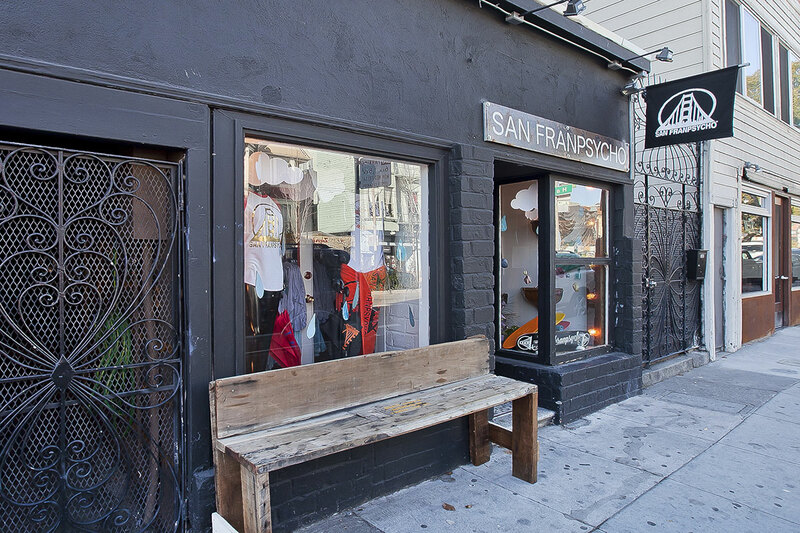 1246 Fell St. is extremely well located. 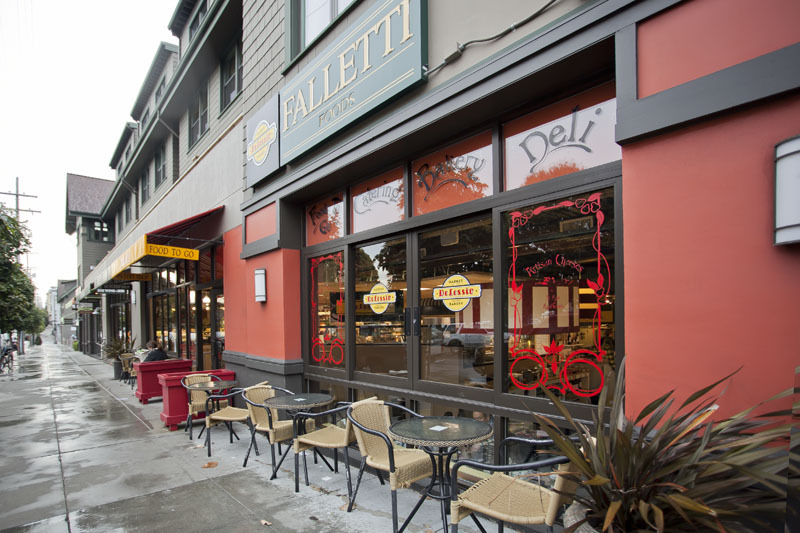 Easily commute to work via nearby MUNI or corporate shuttle. 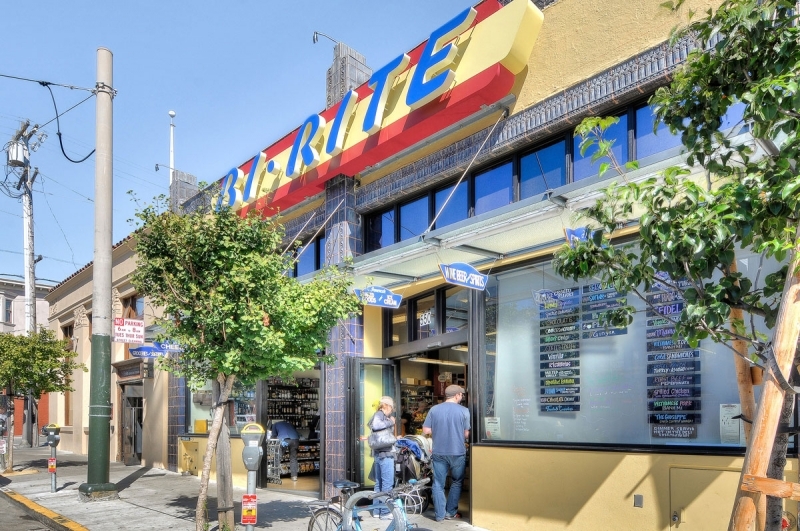 Stroll to multiple gourmet markets (Bi-Rite!) 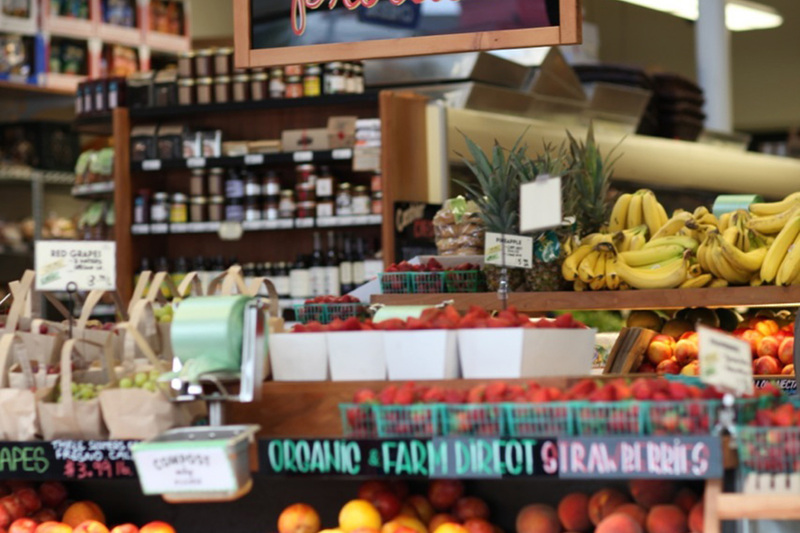 and to the nearby Sunday Farmer’s Market to pick up your fresh produce. 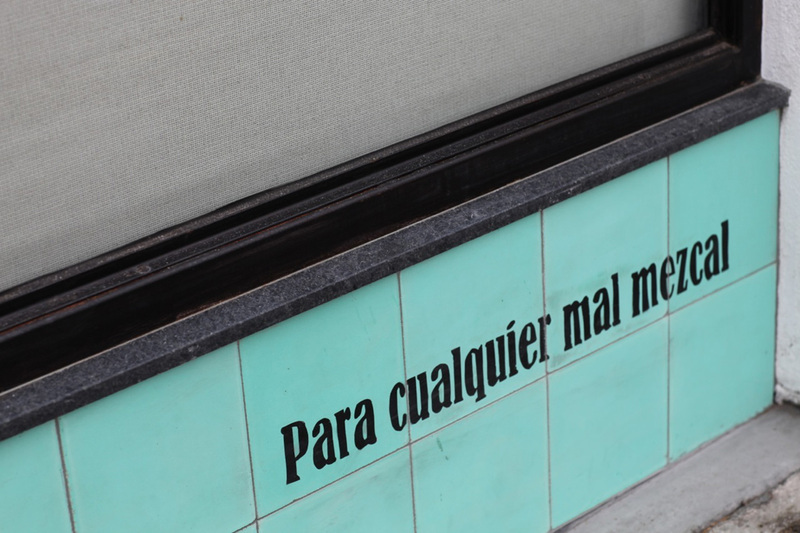 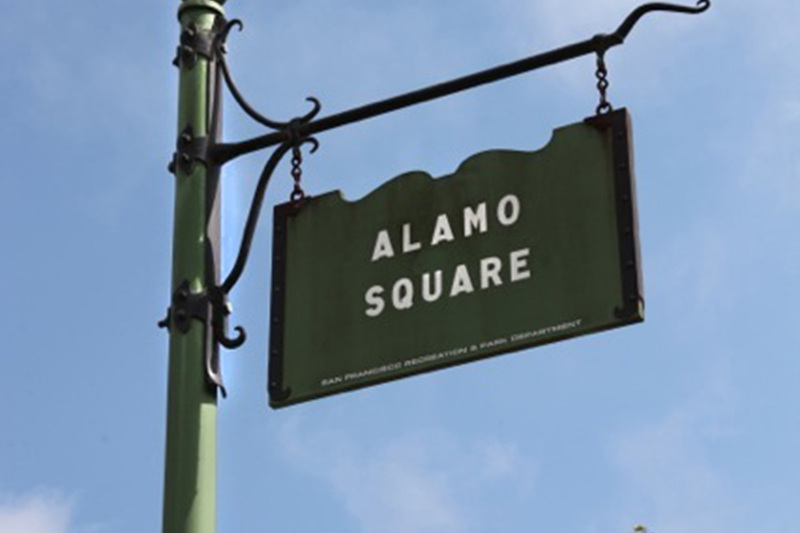 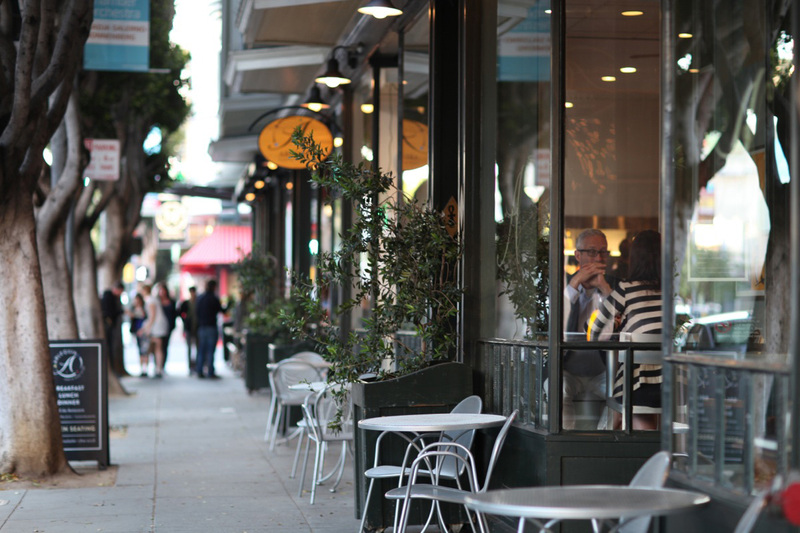 Walk 1 block to enjoy a leisurely lunch at Nopalito or coffee at one of the many nearby cafes. 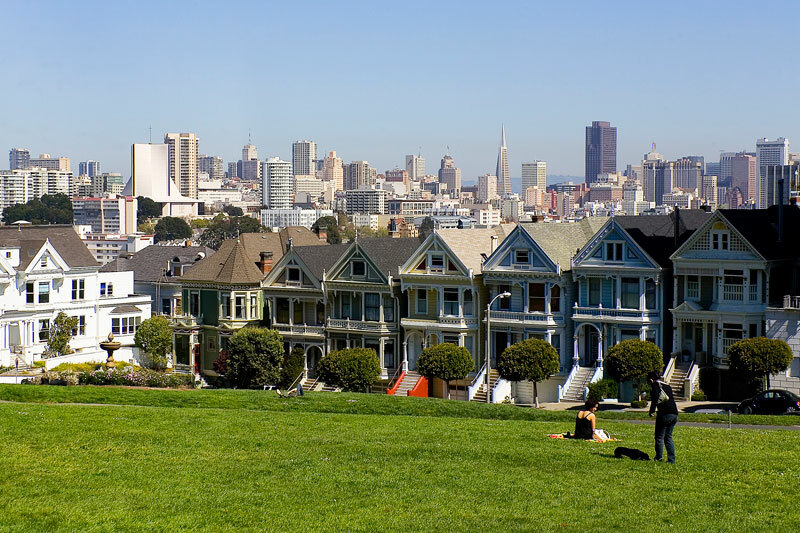 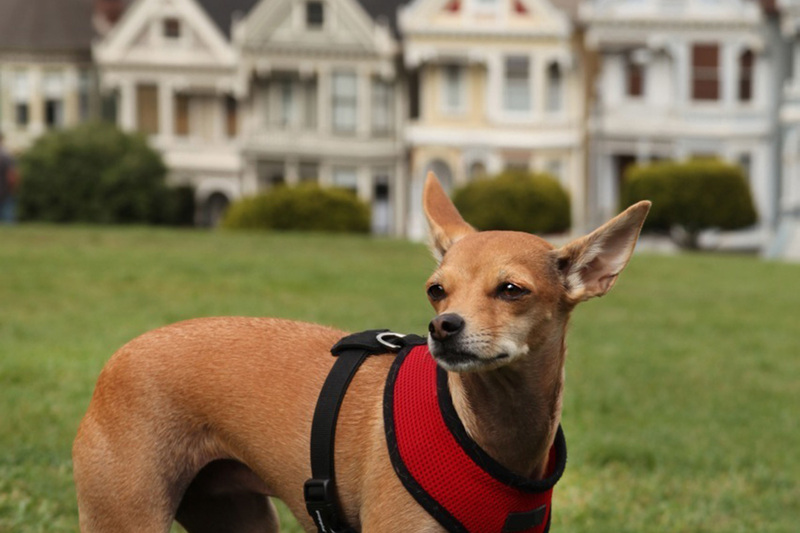 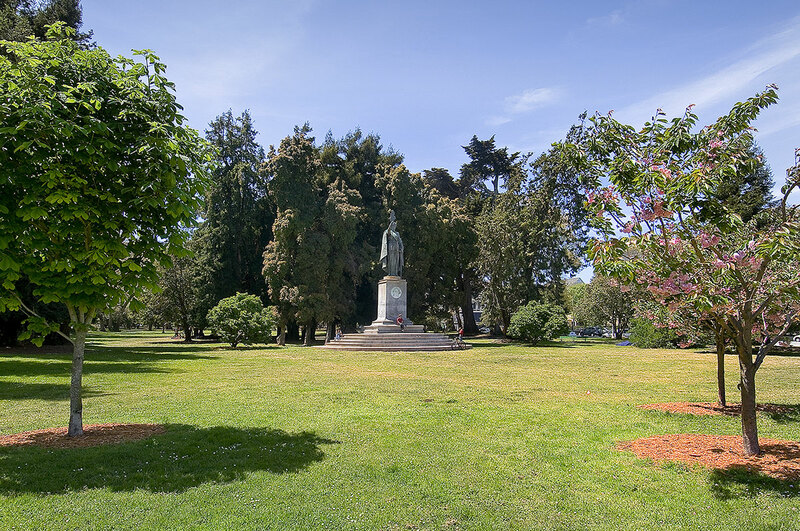 Take your dog for a nice walk to nearby Alamo Square Park and Golden Gate Park, where a statue of President William McKinley greets visitors at the entry to the Panhandle. 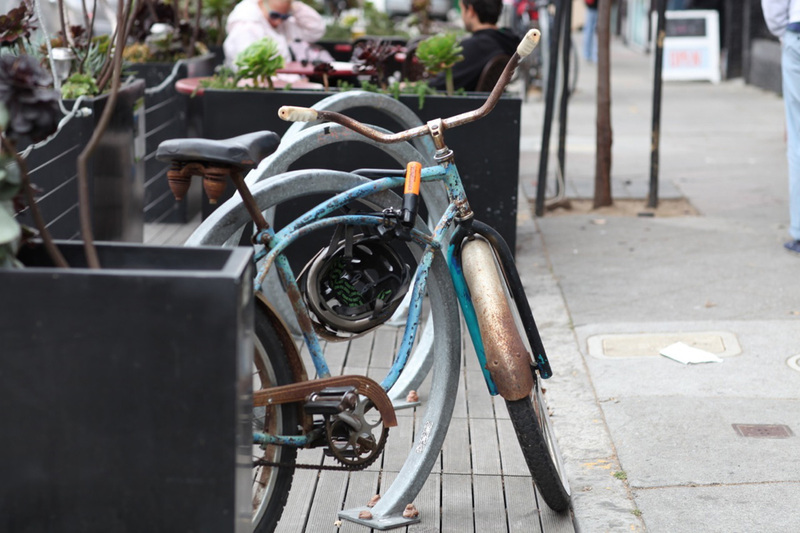 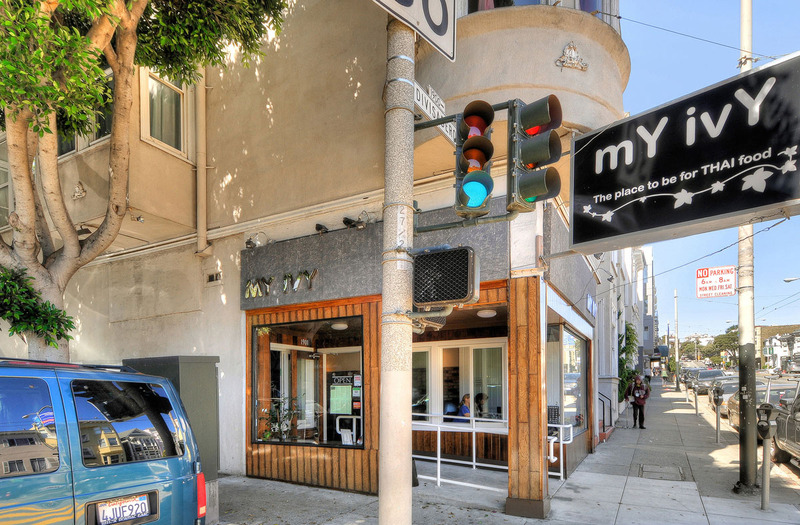 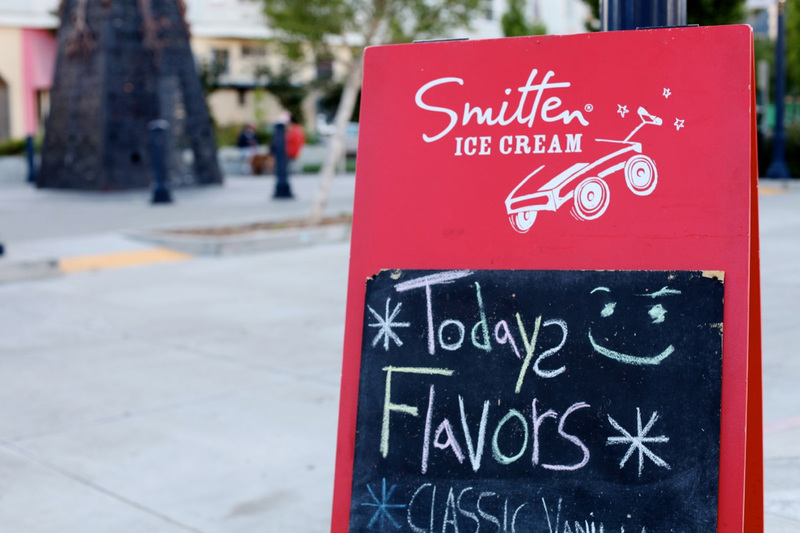 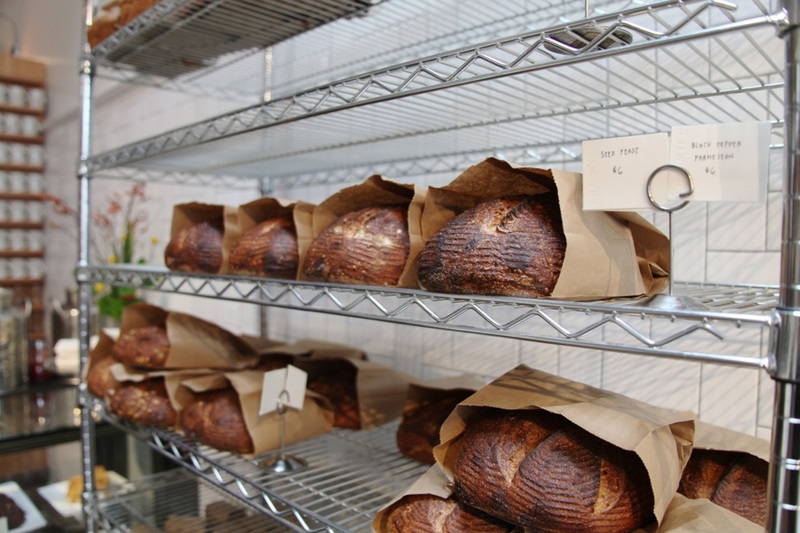 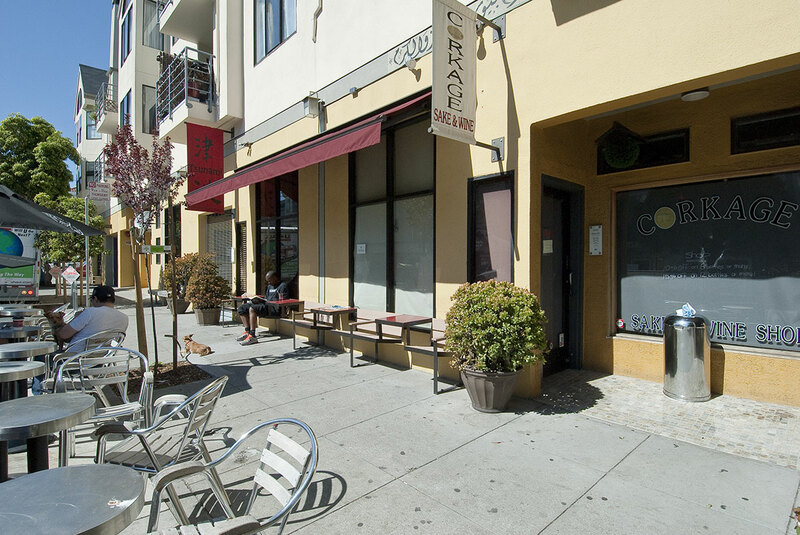 96 Walk Score and Bike Score – Walk to nearby cafes, restaurants, Bi-Rite! 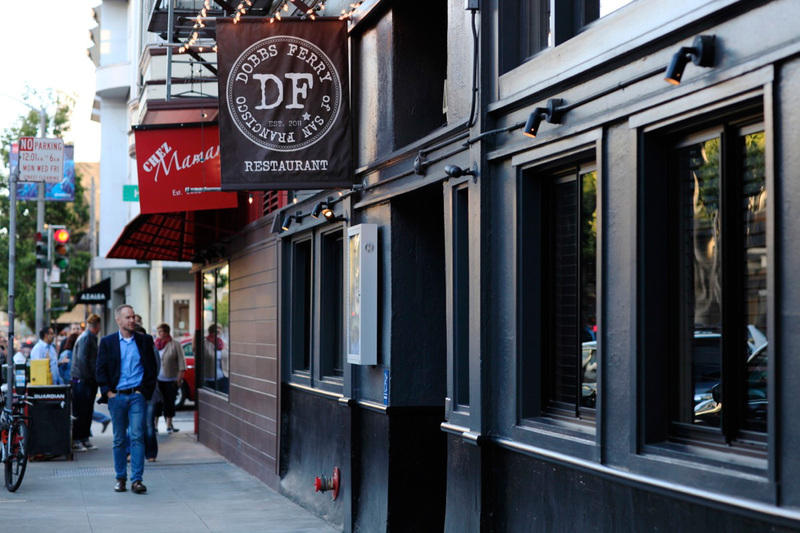 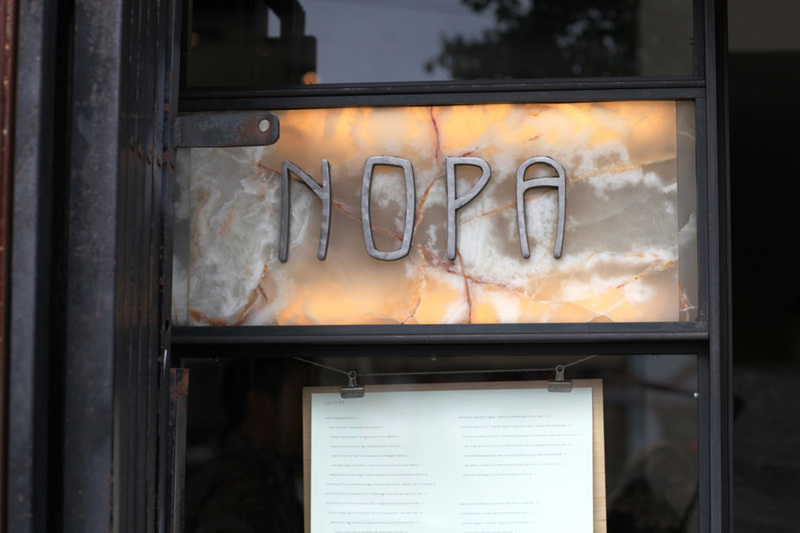 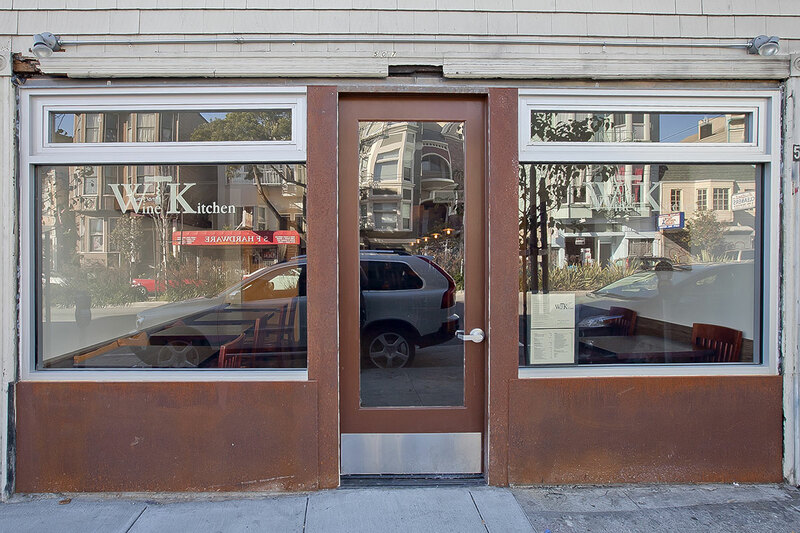 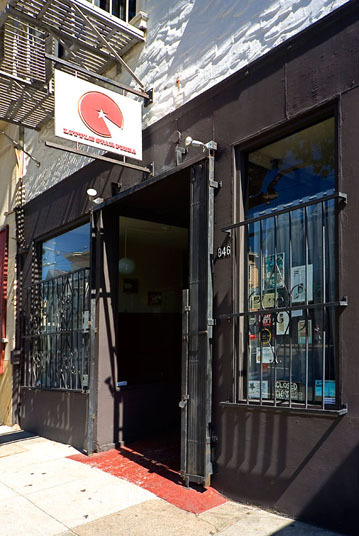 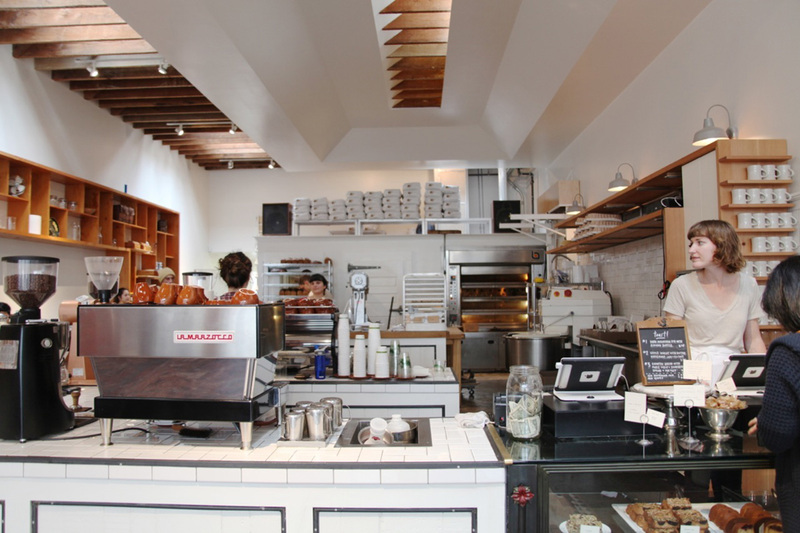 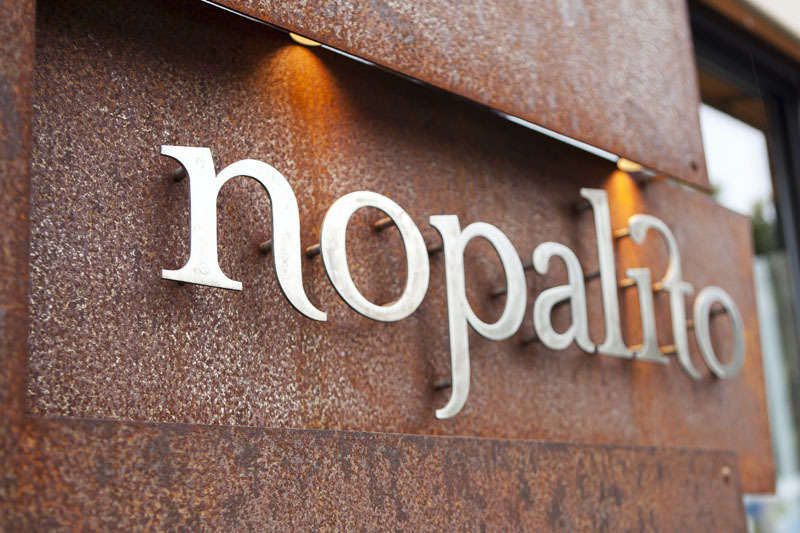 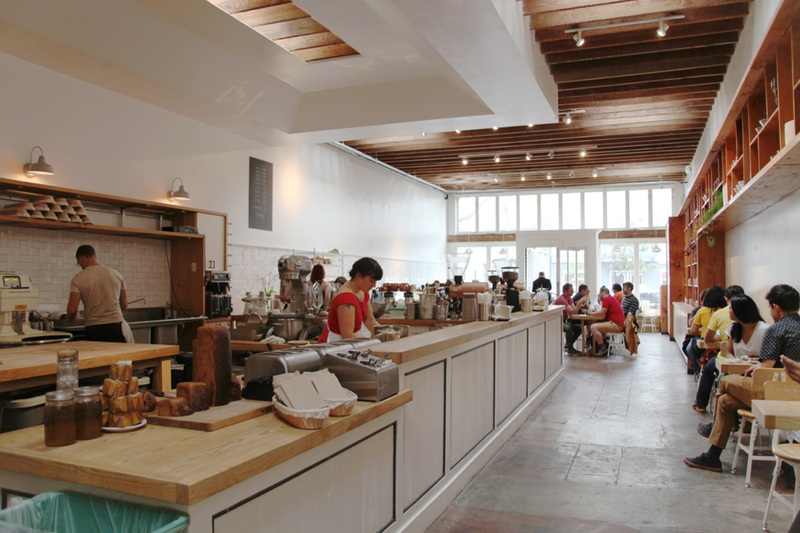 The North Panhandle neighborhood has quickly become a household name in San Francisco, although it is better known as NoPa. 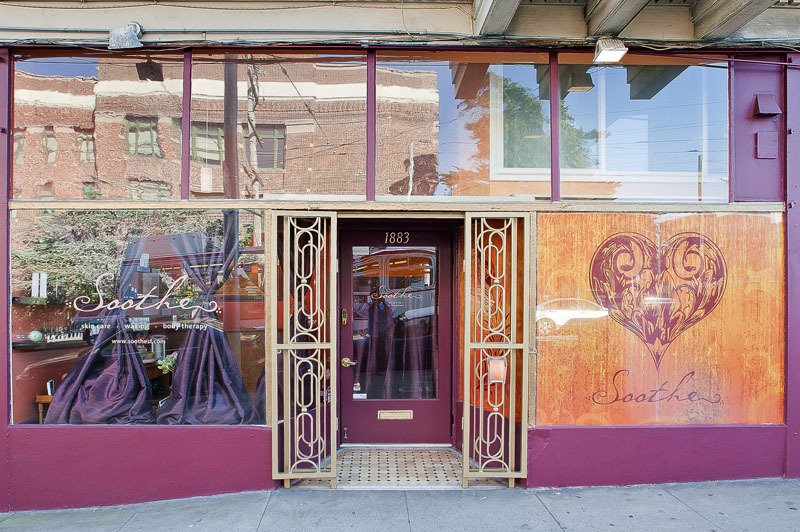 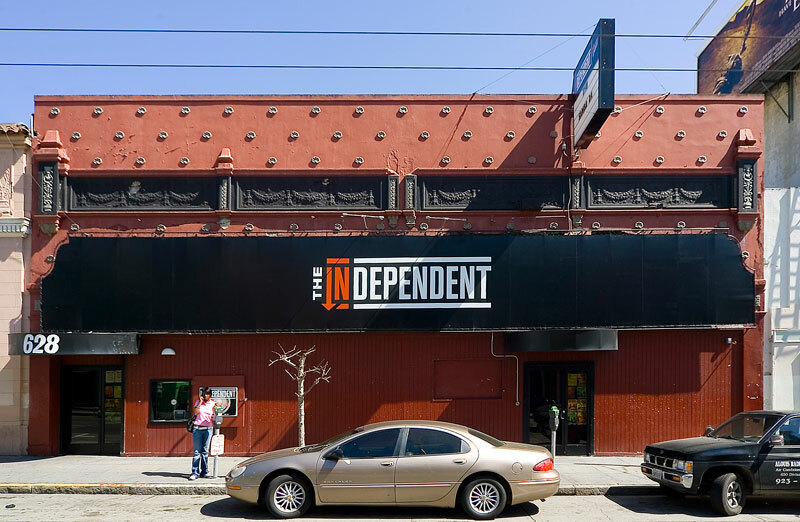 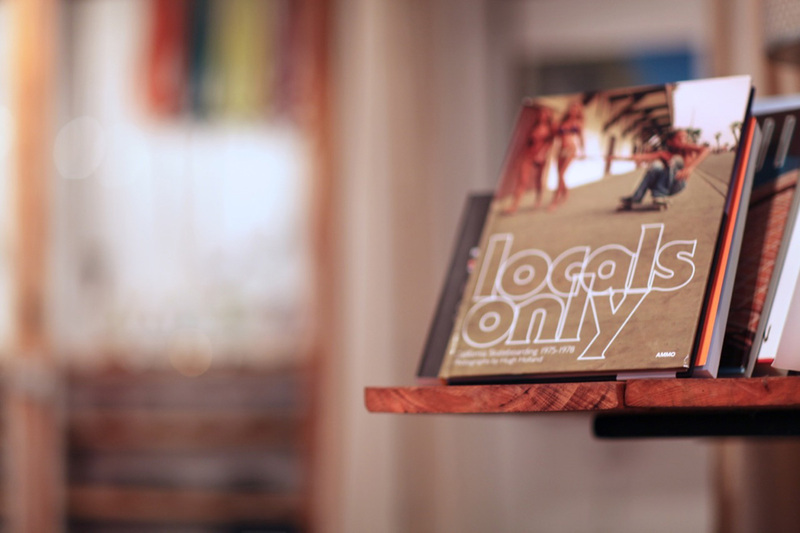 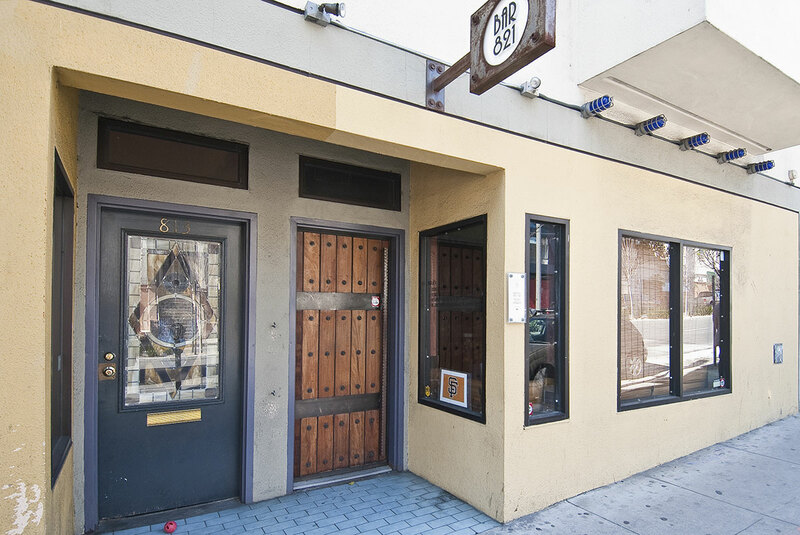 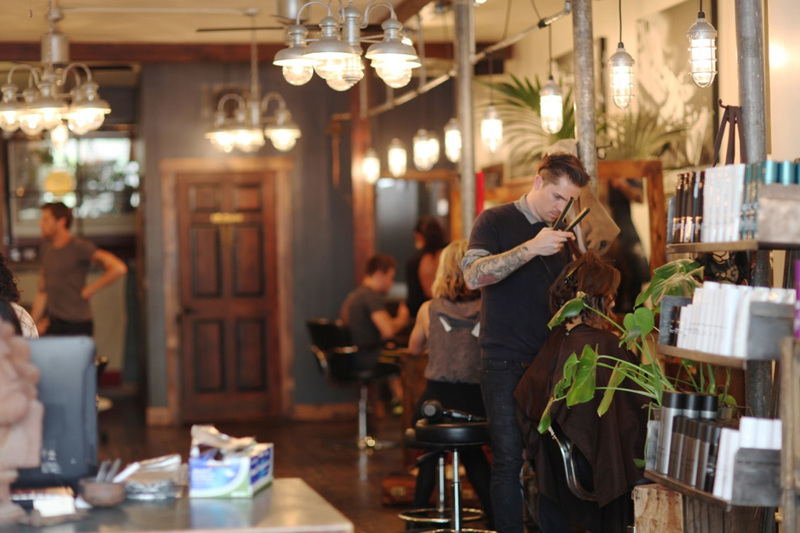 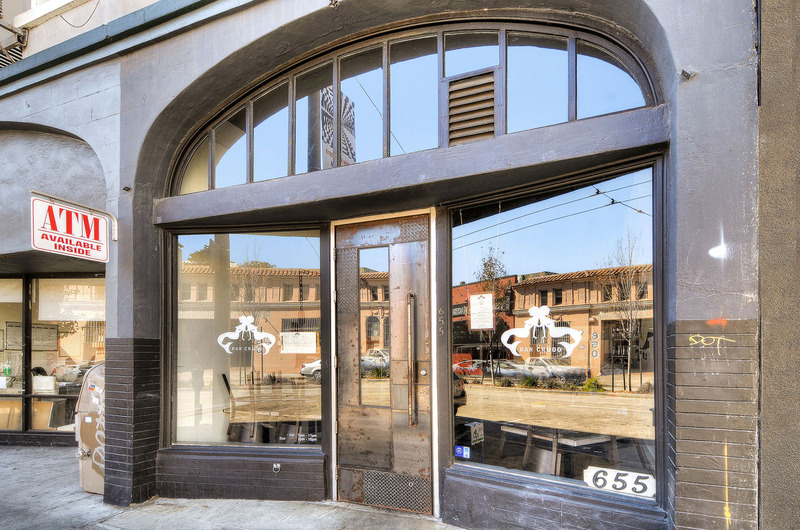 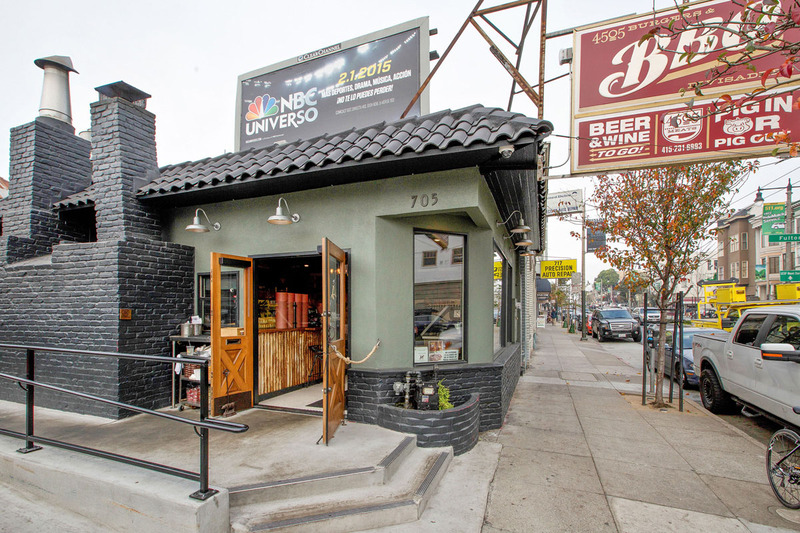 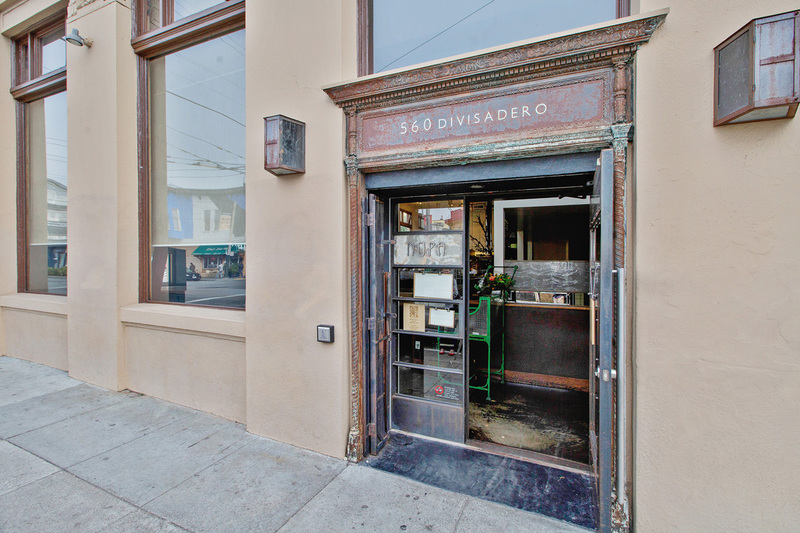 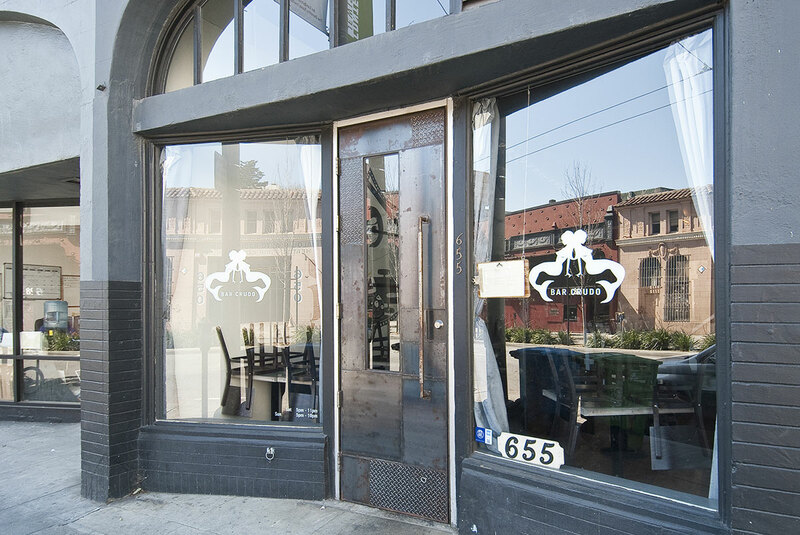 NoPa’s borders surround mostly residential properties, but its key location is convenient to some of the city’s most popular destination restaurants and a growing number of storefronts. 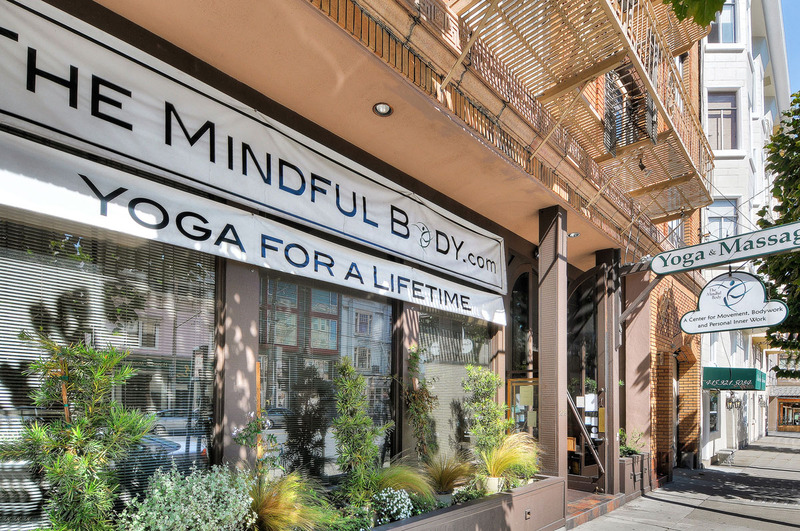 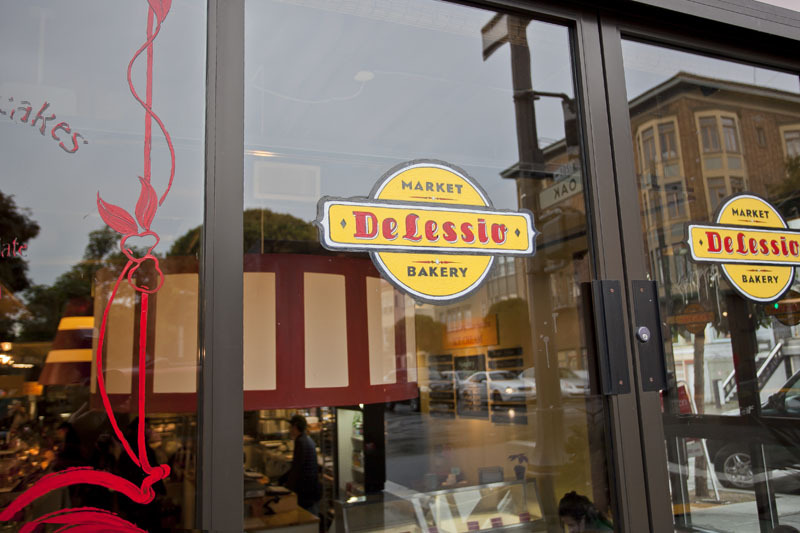 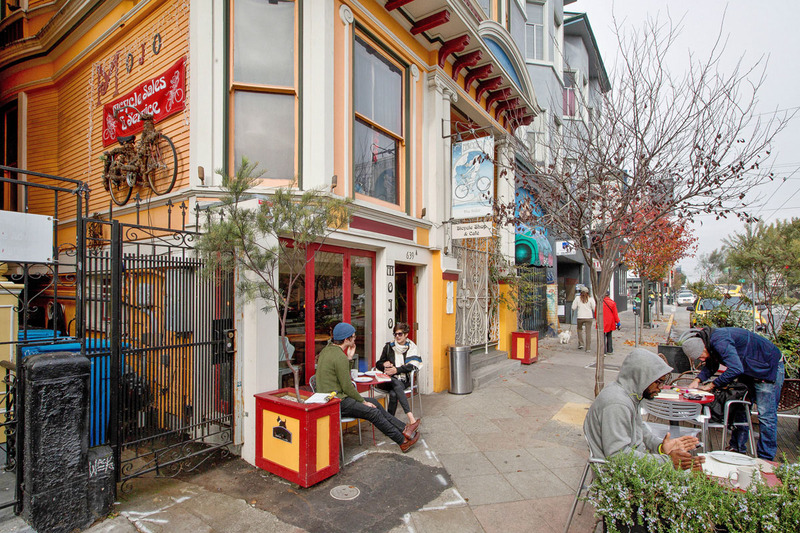 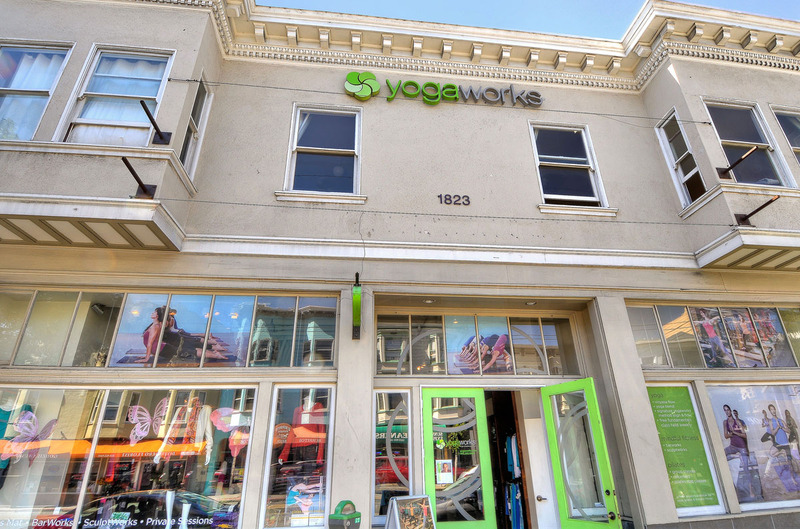 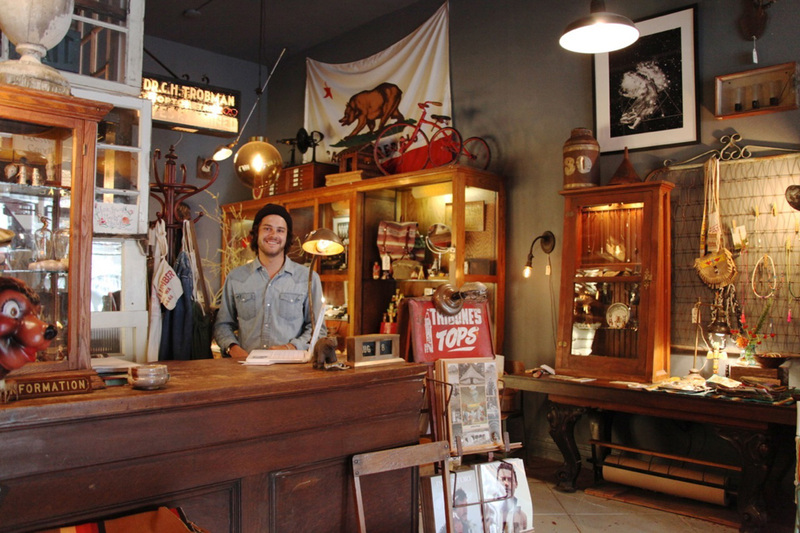 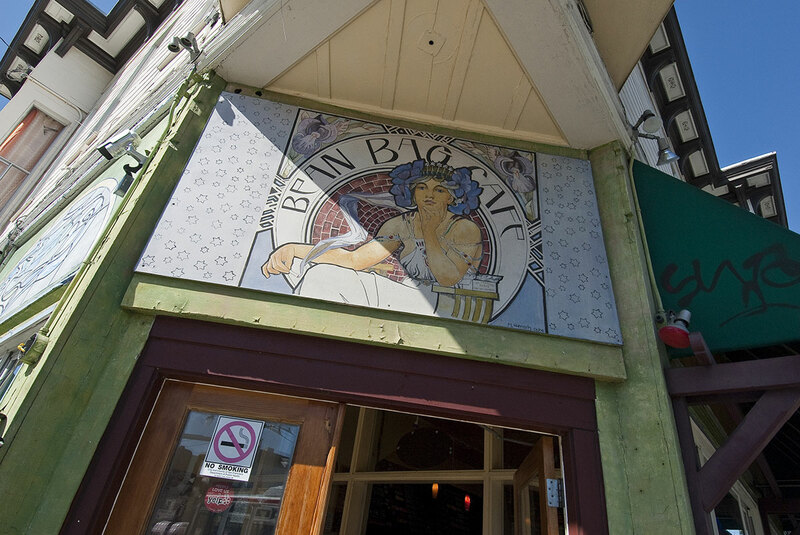 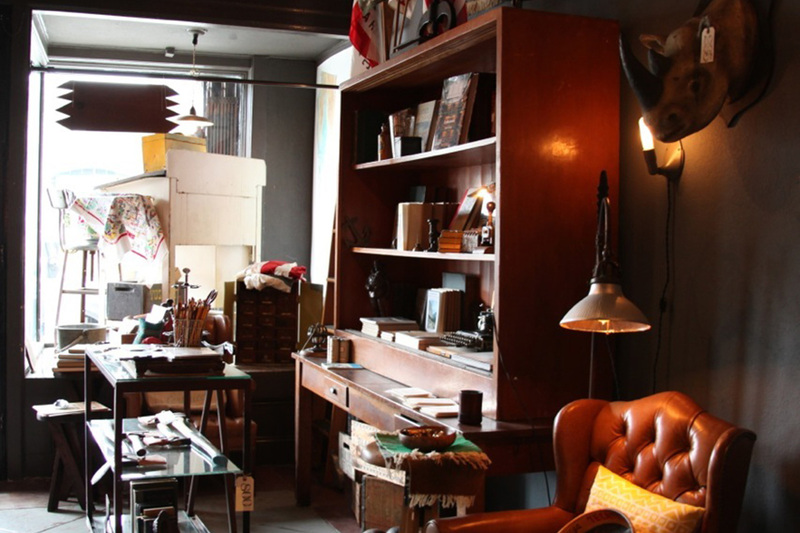 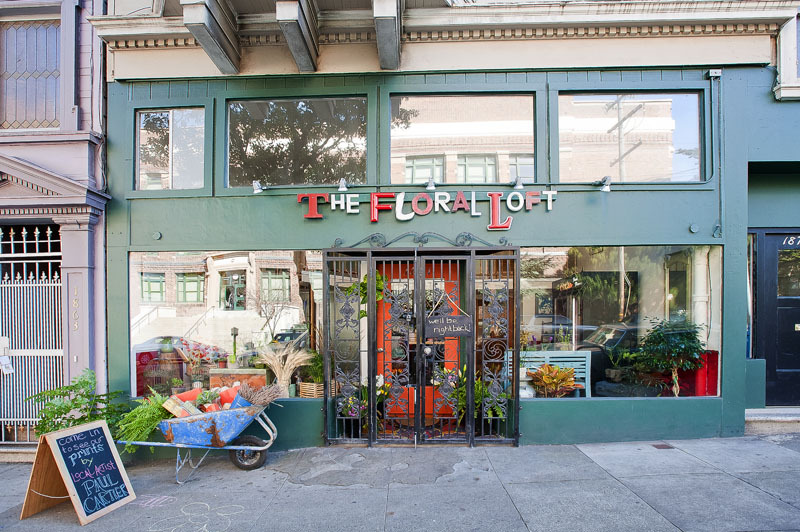 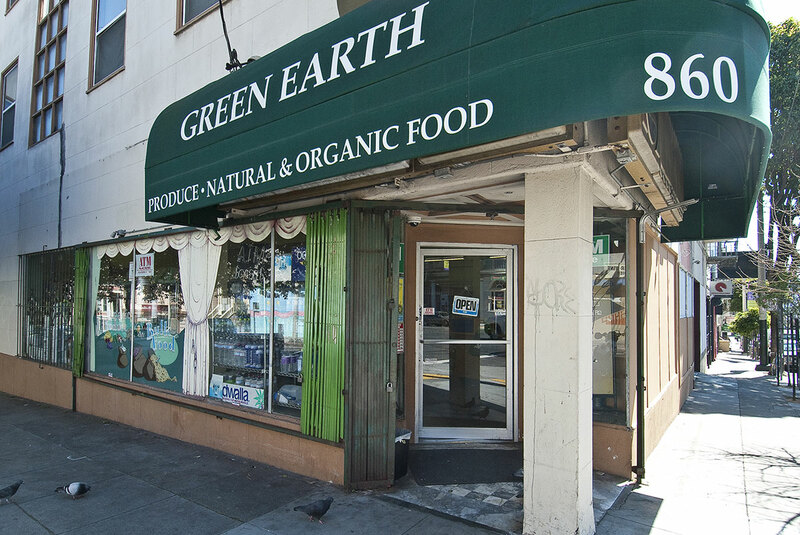 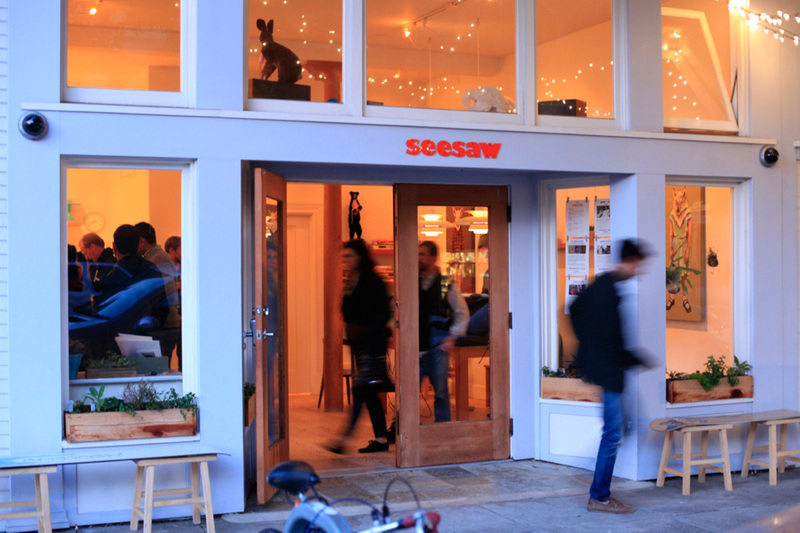 The eastern border runs along Divisadero Street, which is fast-paced with foot-traffic energy, boutique and vintage shops, epicurean desirables and organic grocers. 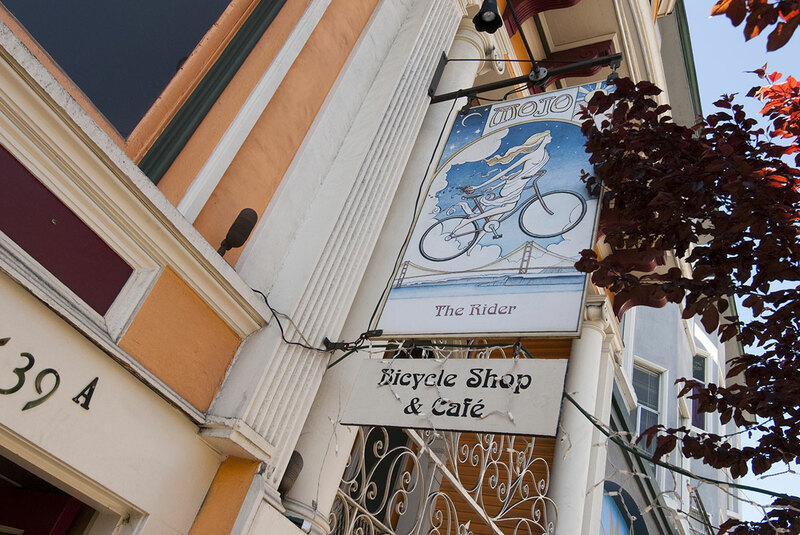 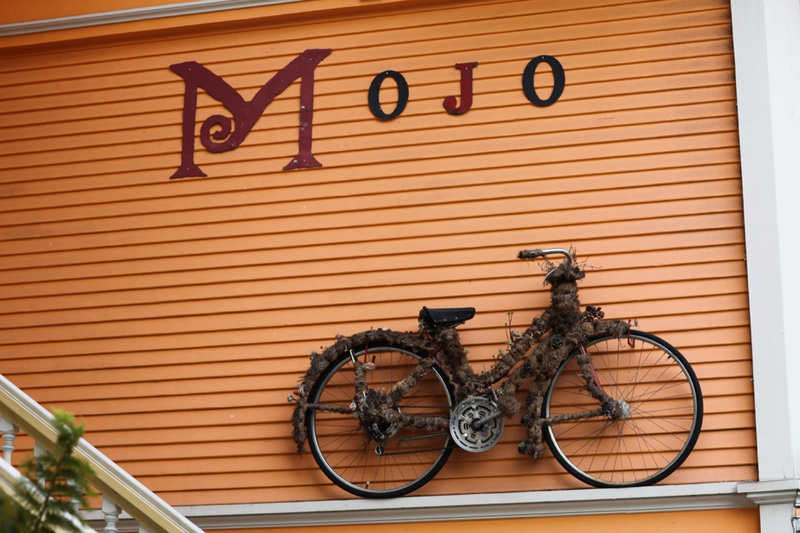 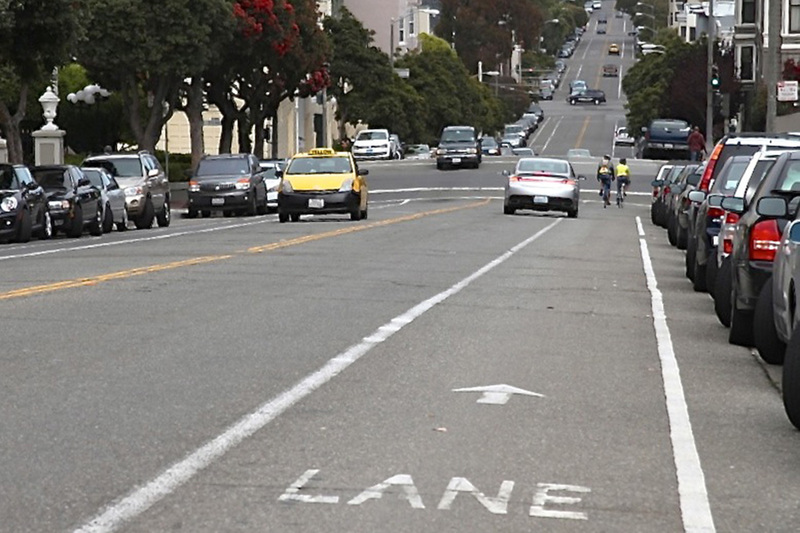 Residents who live in this neighborhood enjoy the amenity of not having to own an automobile to get around in the district and out to every corner of the city. 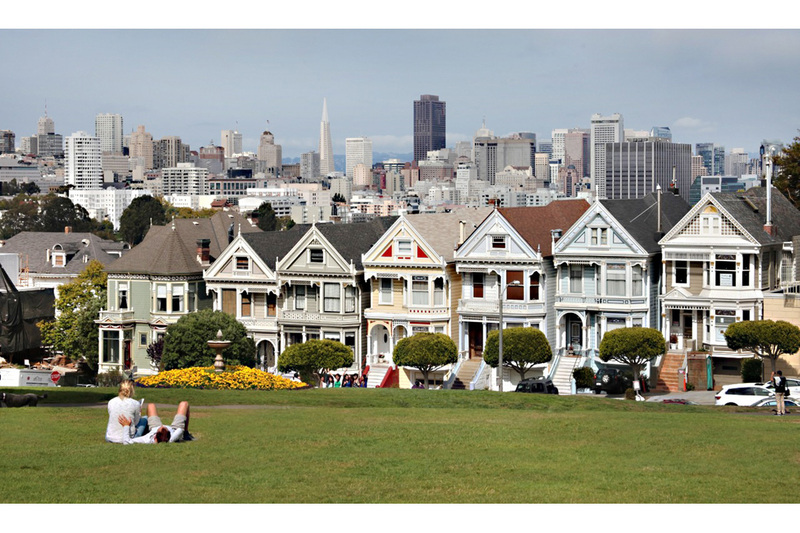 Some longtime residents will also admit that they find little reason to leave the area, as all the city’s amenities are within reach. 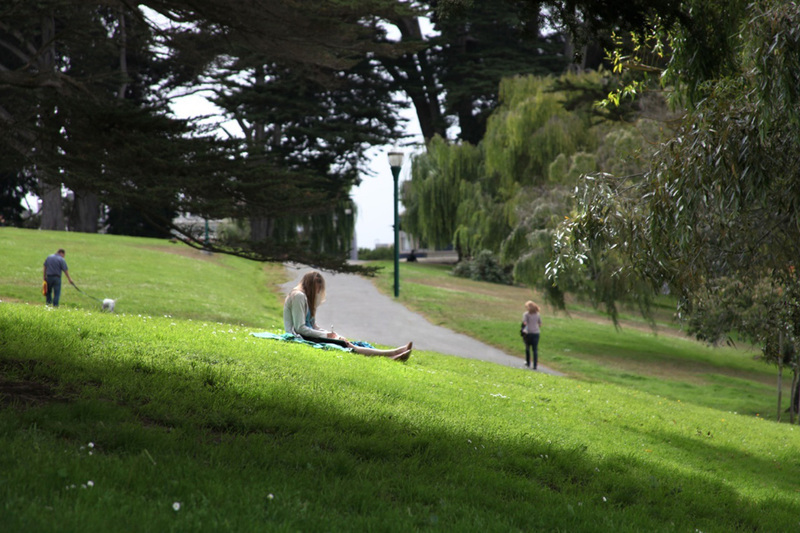 The neighborhood’s westernmost border opens right up into Golden Gate Park providing endless opportunities for outdoor recreation and activities. 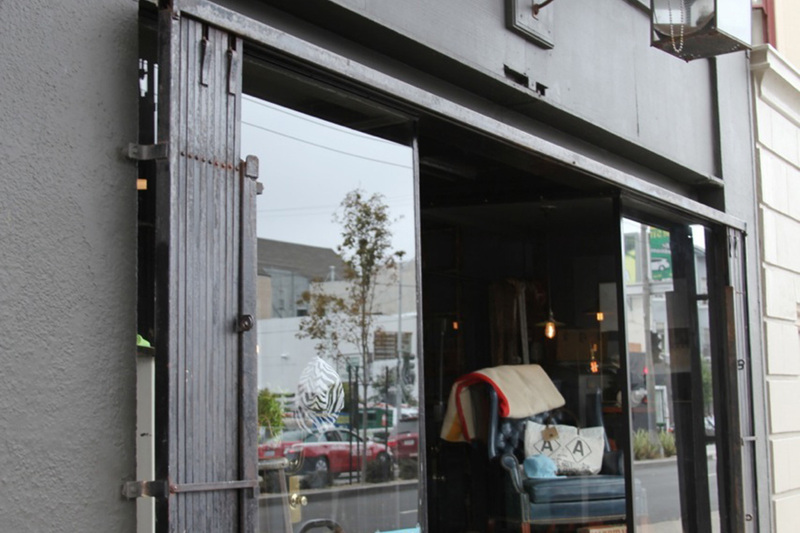 Across the Panhandle, the long southern border along Fell Street provides a direct route to the freeway for residents that work outside the city or need a quick getaway. 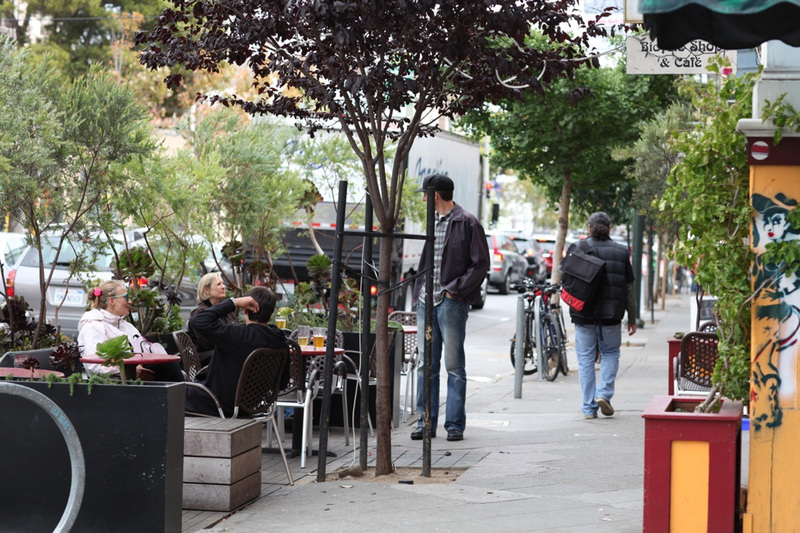 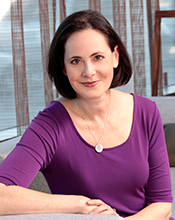 Other neighboring districts offer proximity to the University of San Francisco as well as the main facility for Kaiser Permanente. 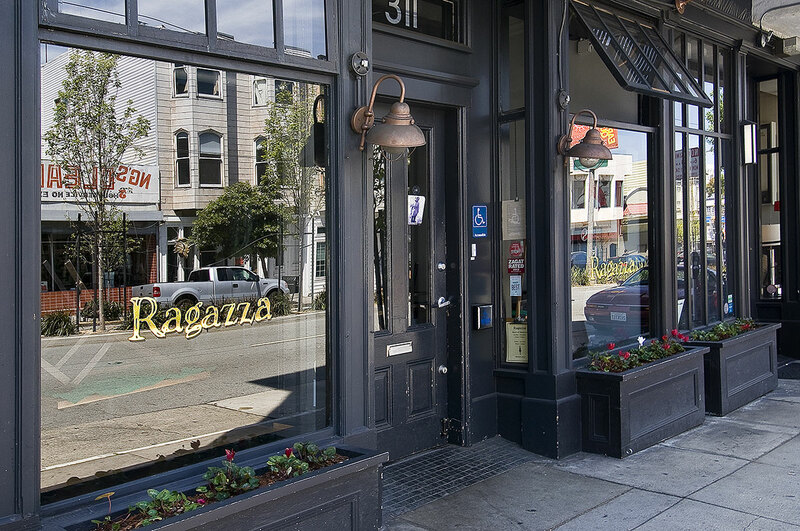 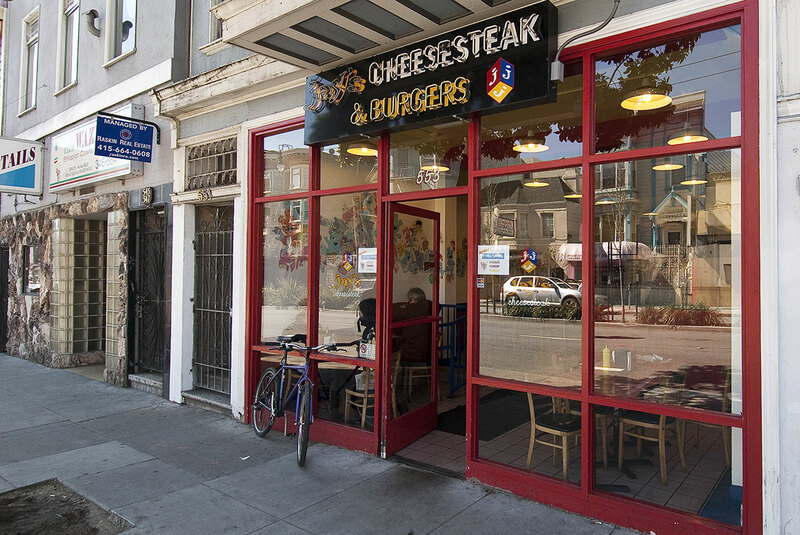 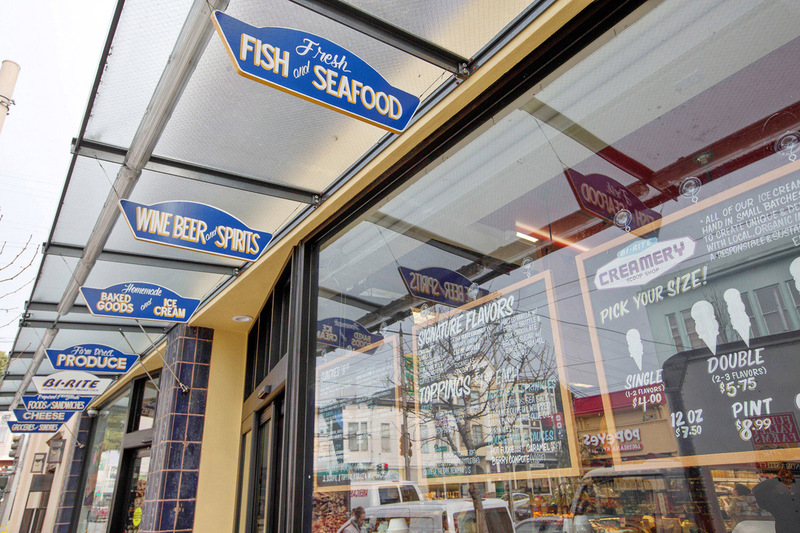 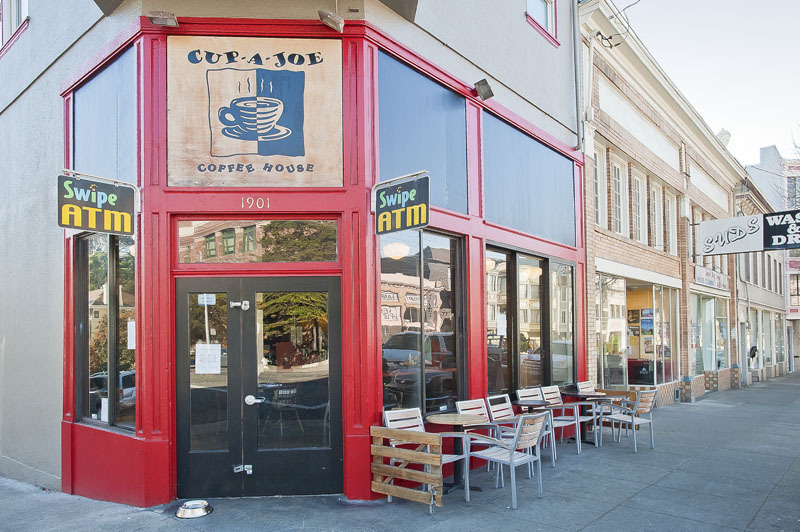 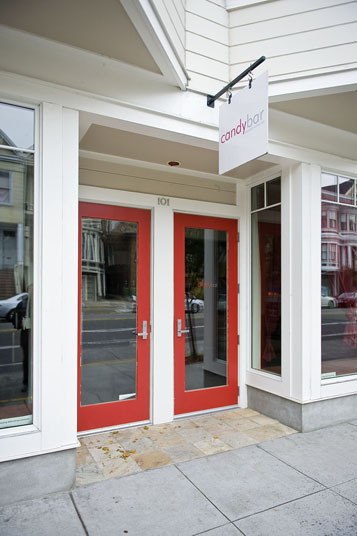 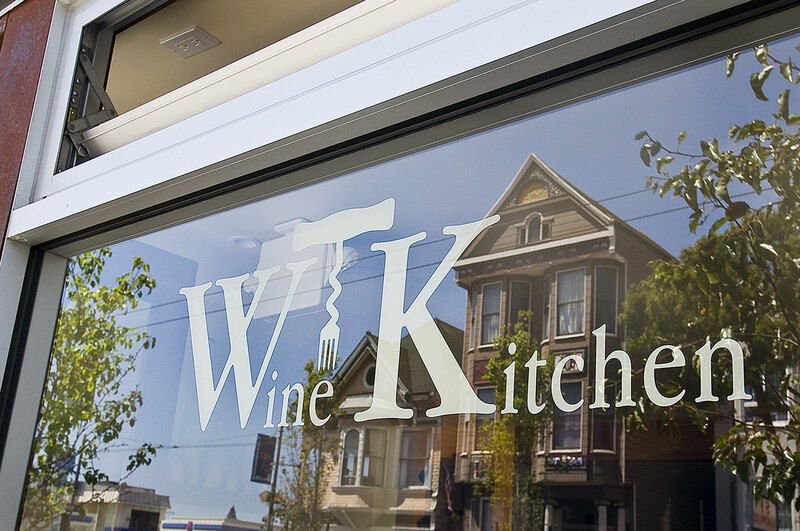 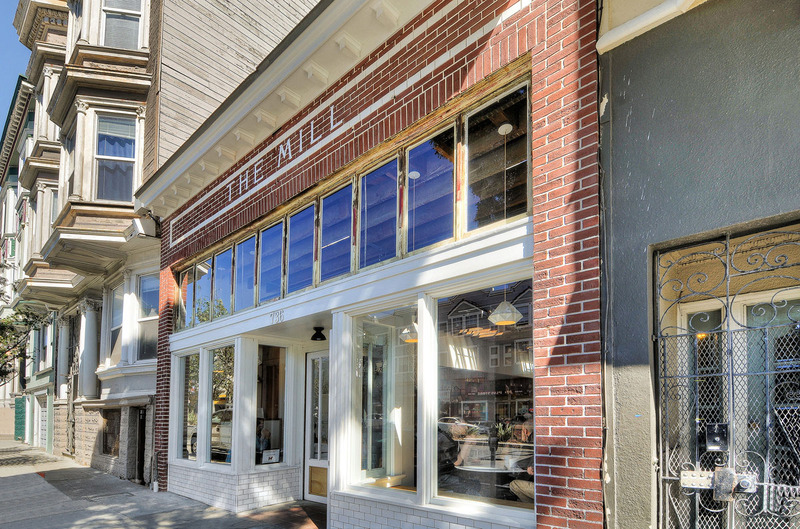 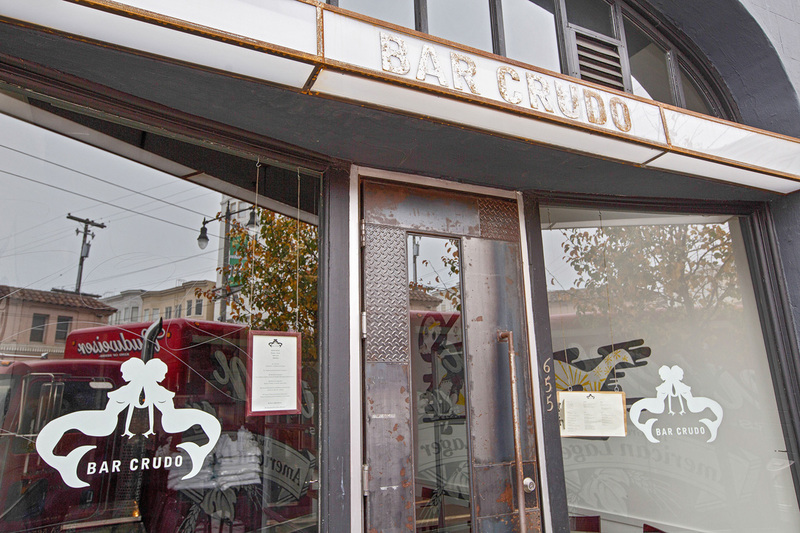 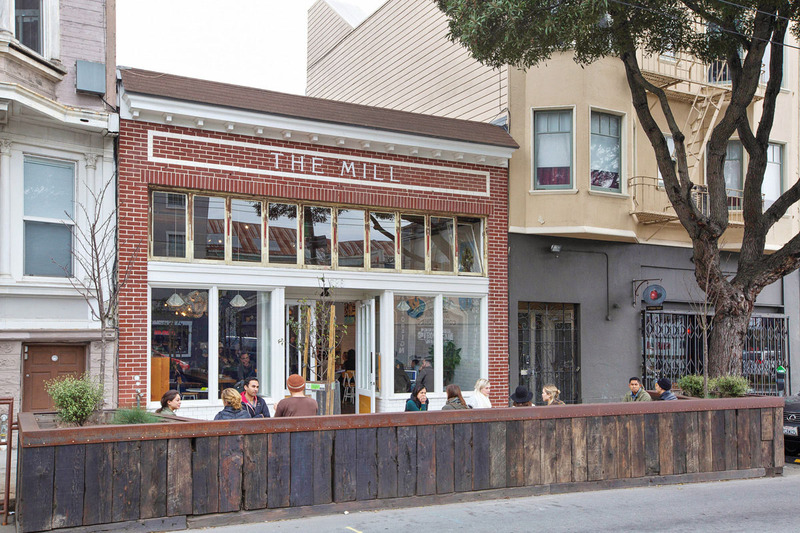 With a growing number of destination restaurants and storefronts igniting its soaring popularity, becoming a resident of the North Panhandle would be an honor in the eyes of many San Franciscans. 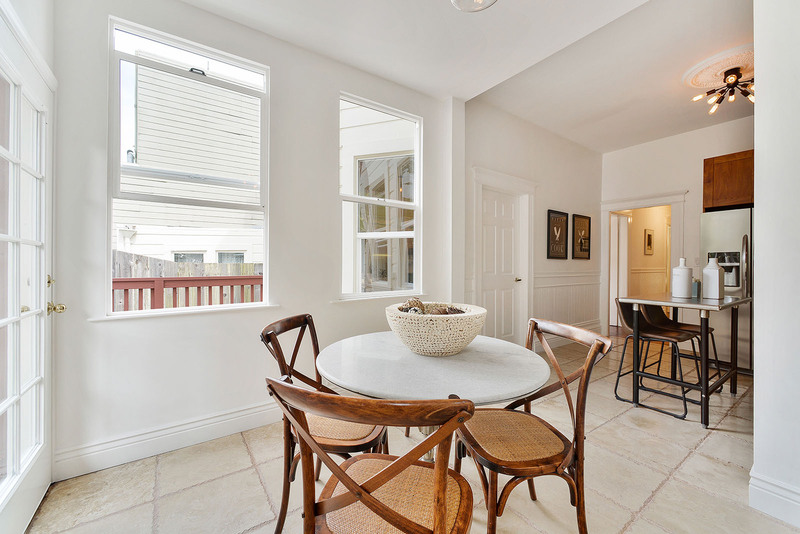 This lovely home received multiple offers and sold 18% over list price.